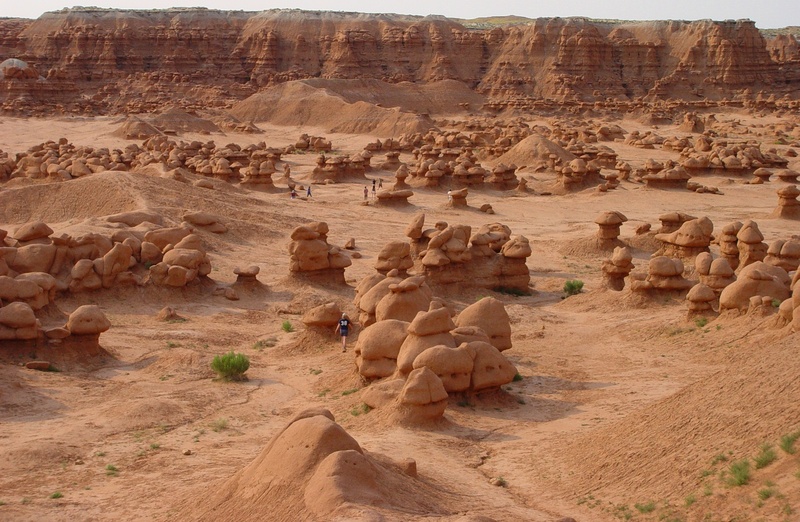 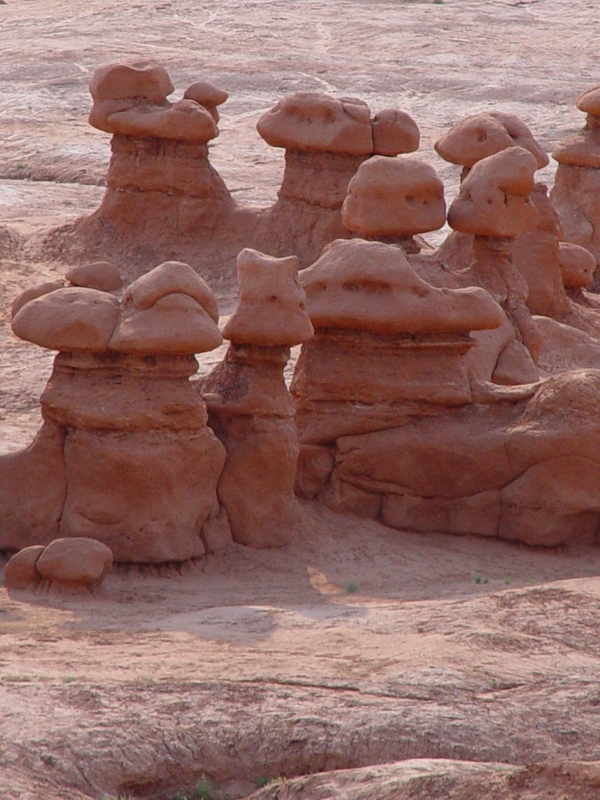 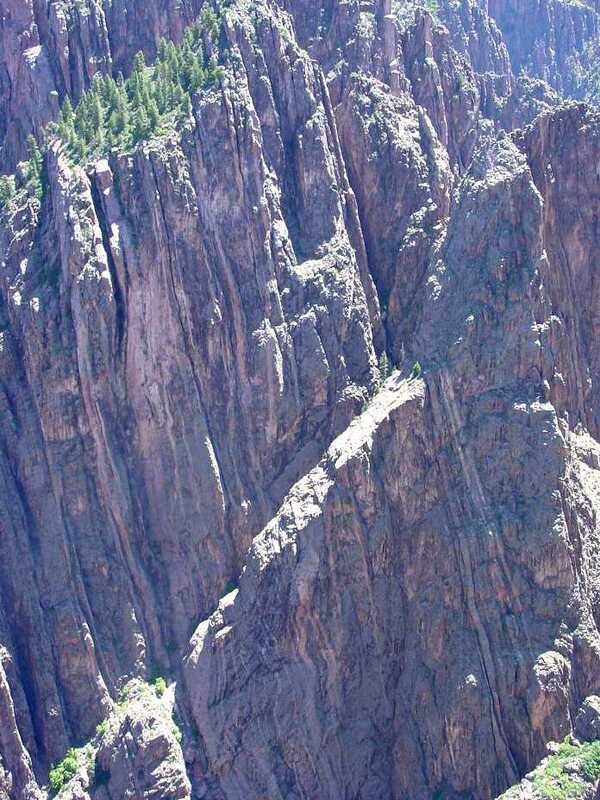 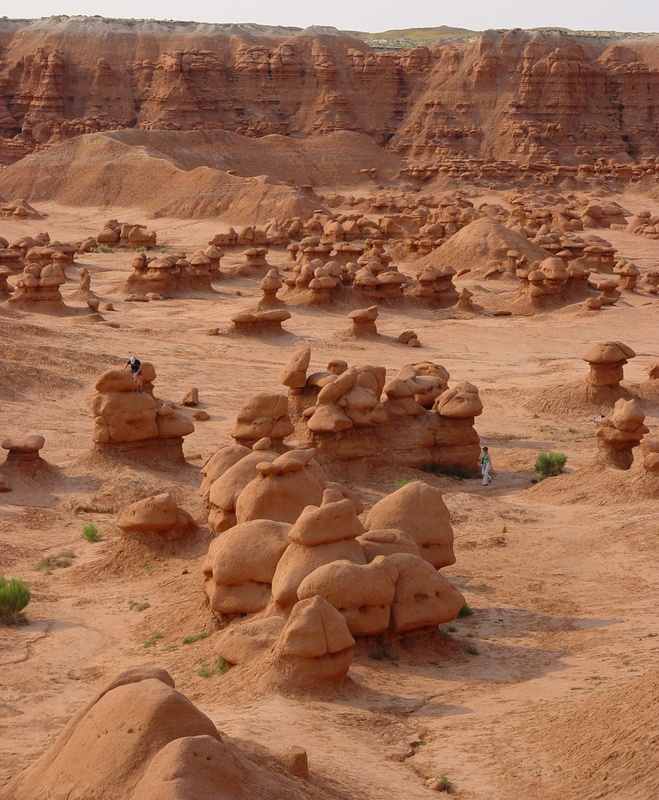 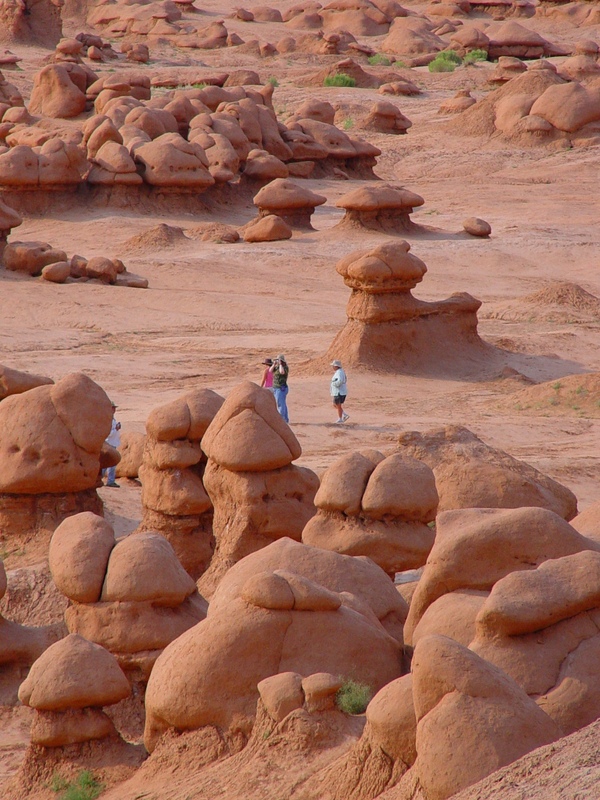 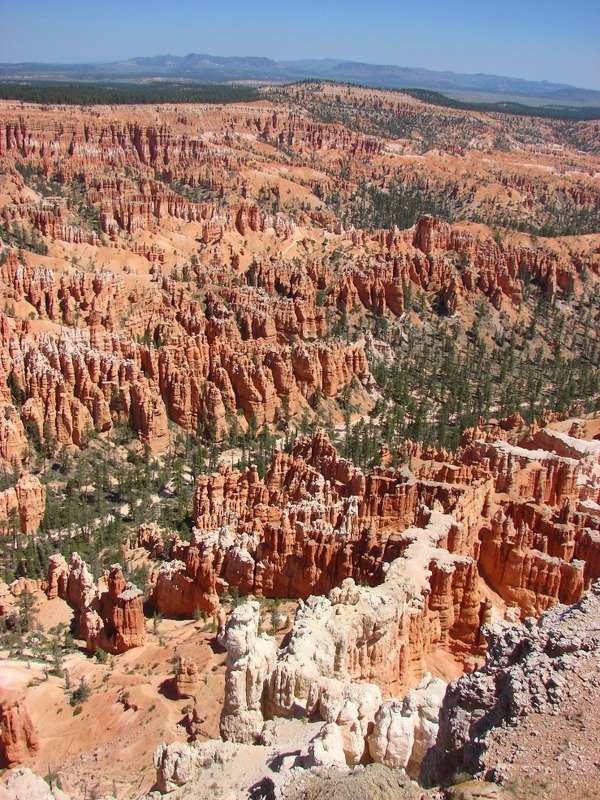 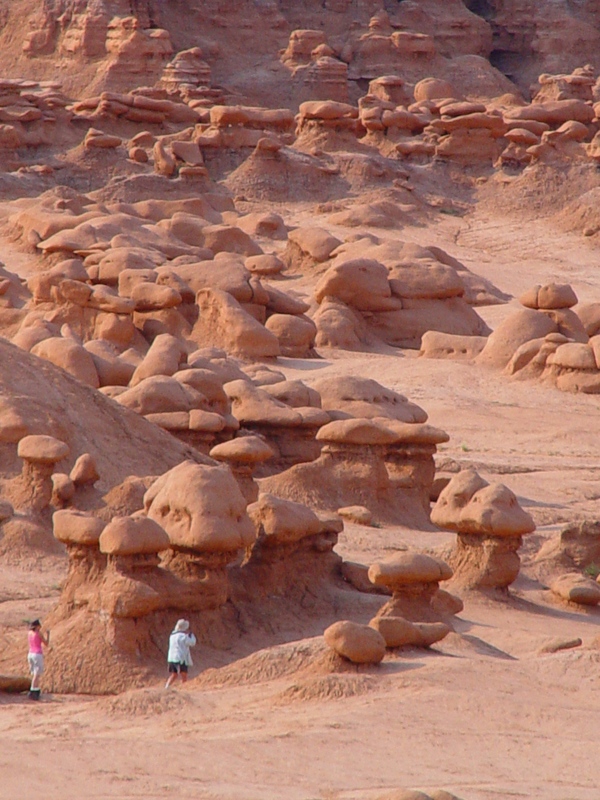 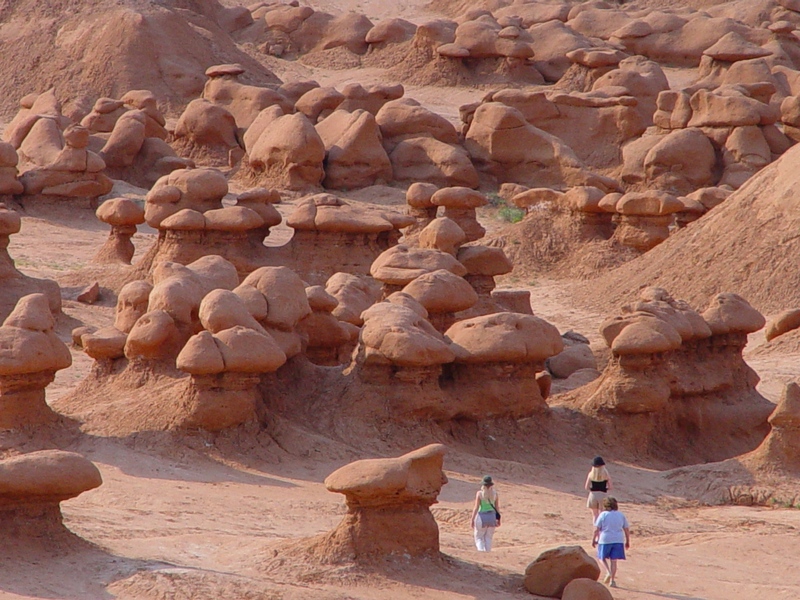 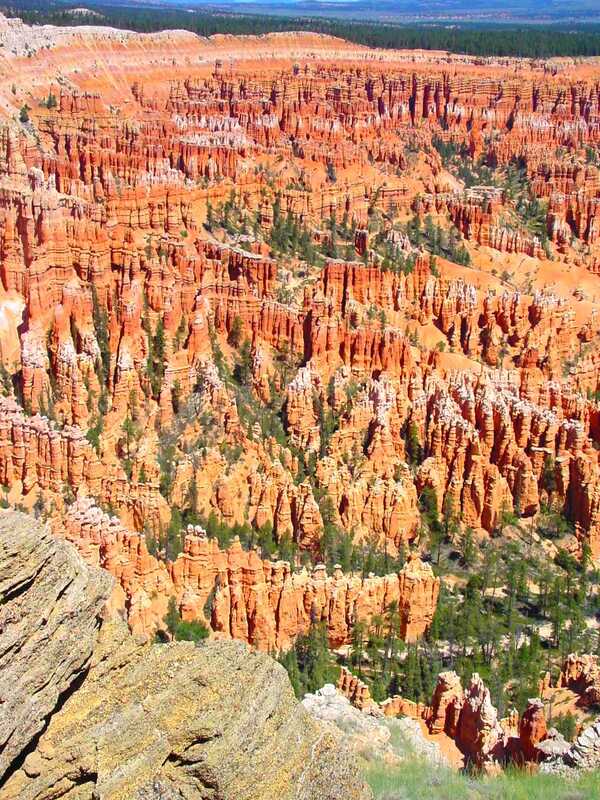 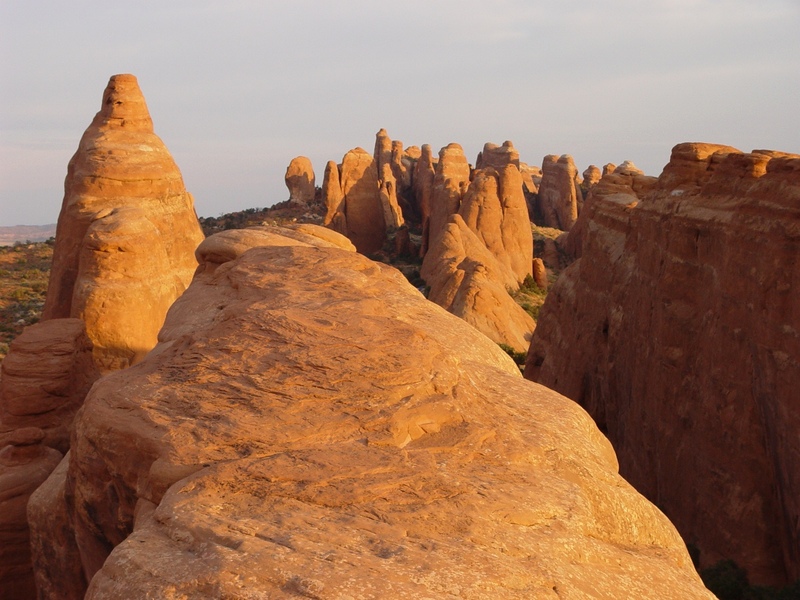 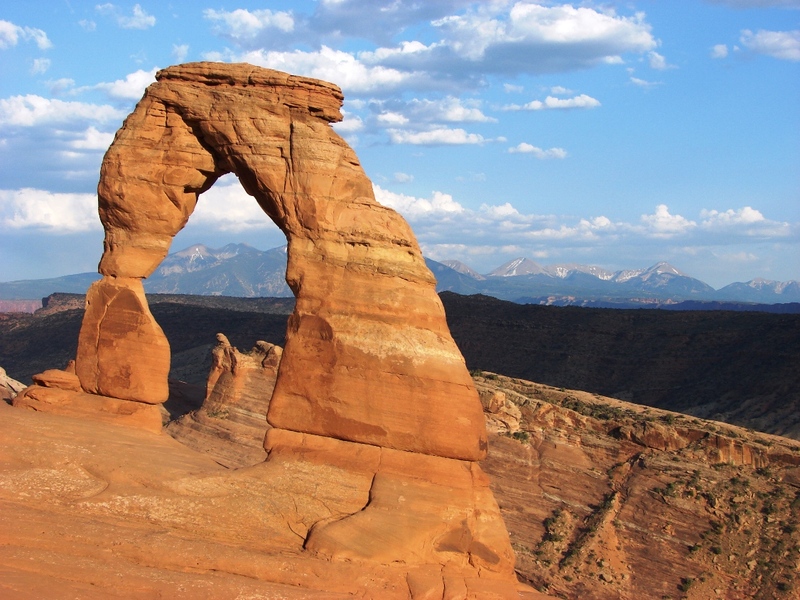 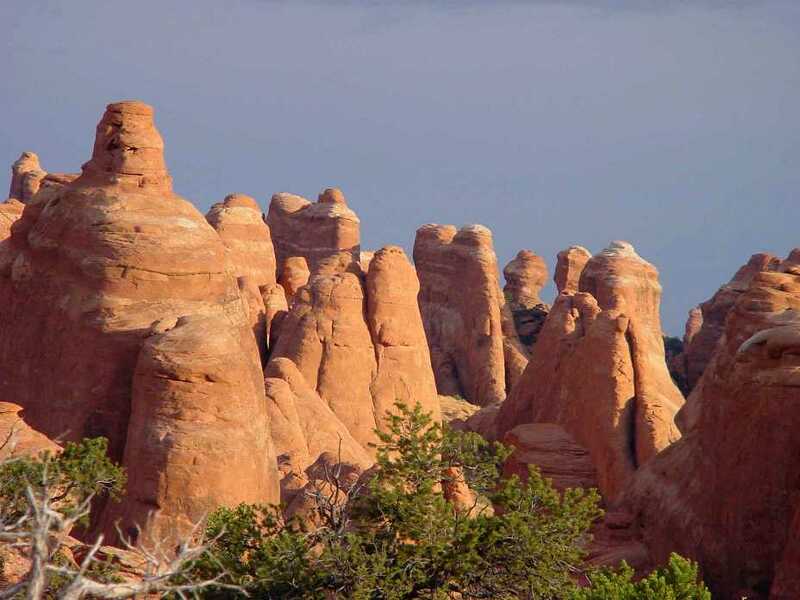 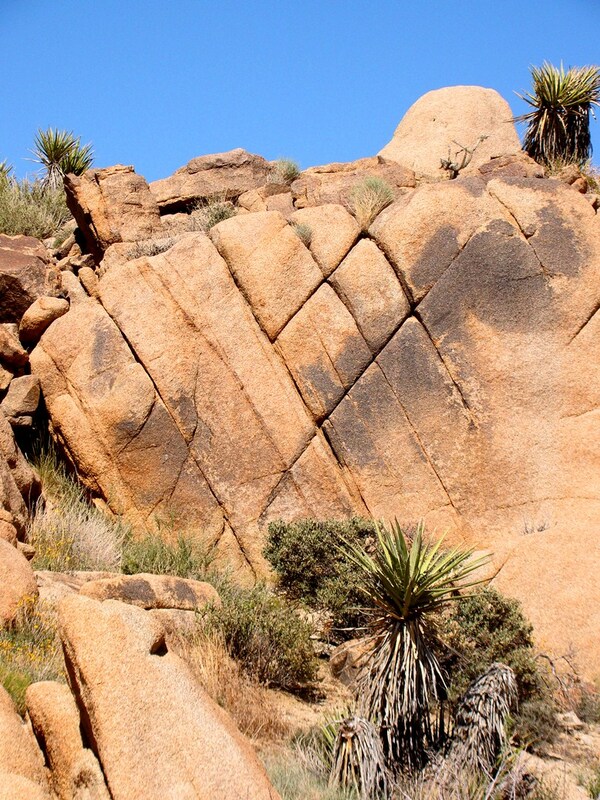 Rocks can't be eroded and transported until they have been broken down into smaller pieces by physical weathering. 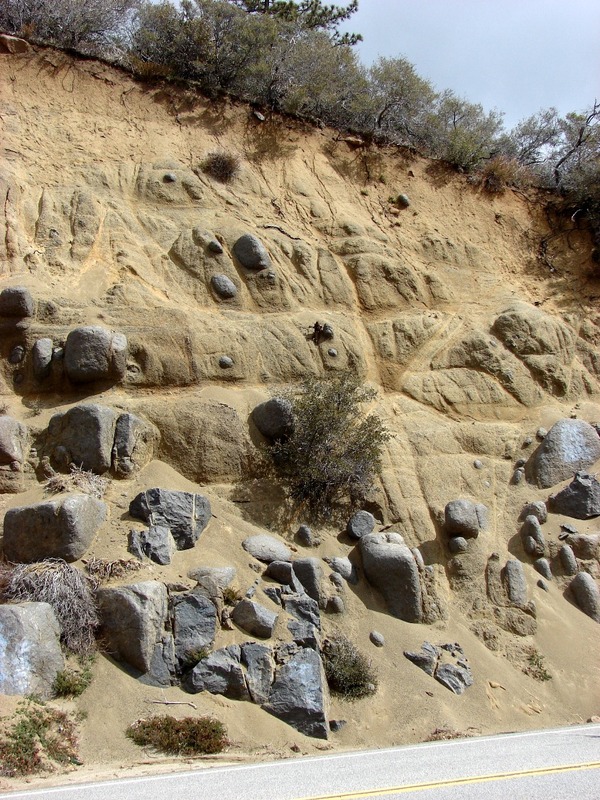 Chemical weathering changes many minerals into clay and iron oxides, some of the most important elements of newly forming soils. 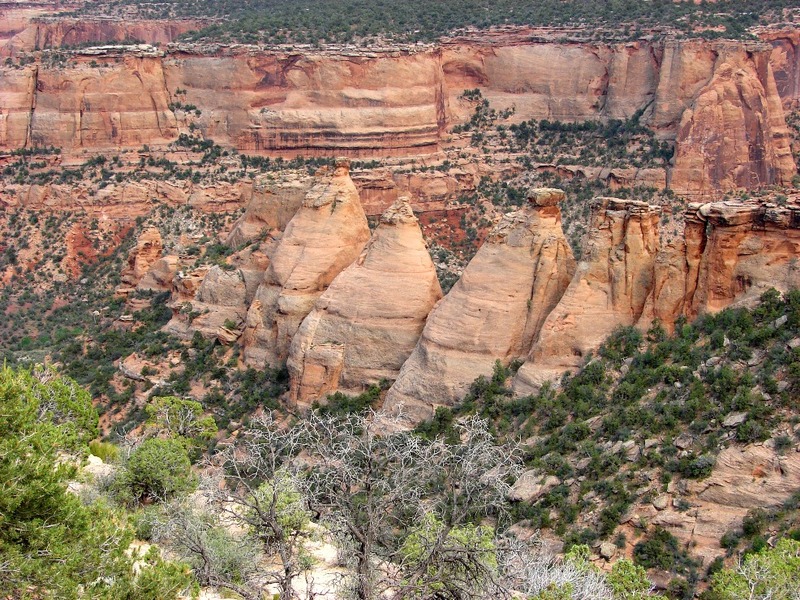 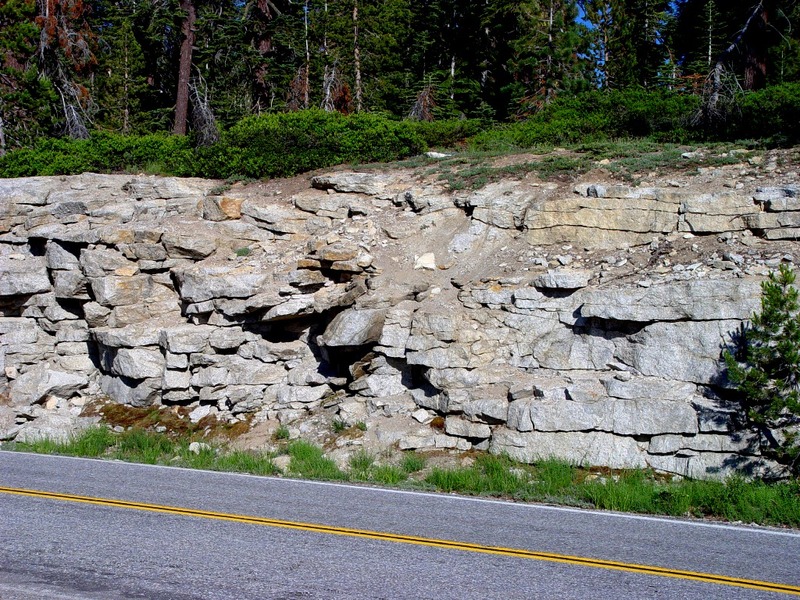 Chemical weathering is pervasive, although it is slower in cold or dry climates. 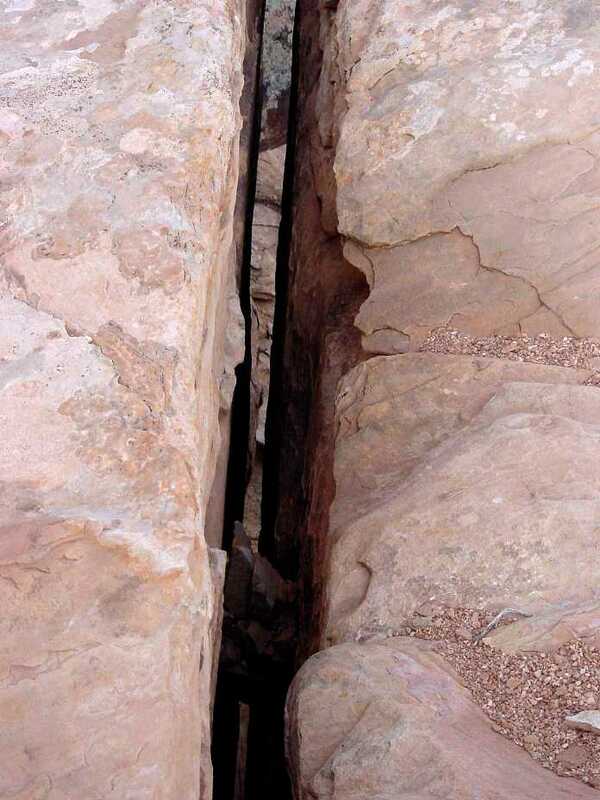 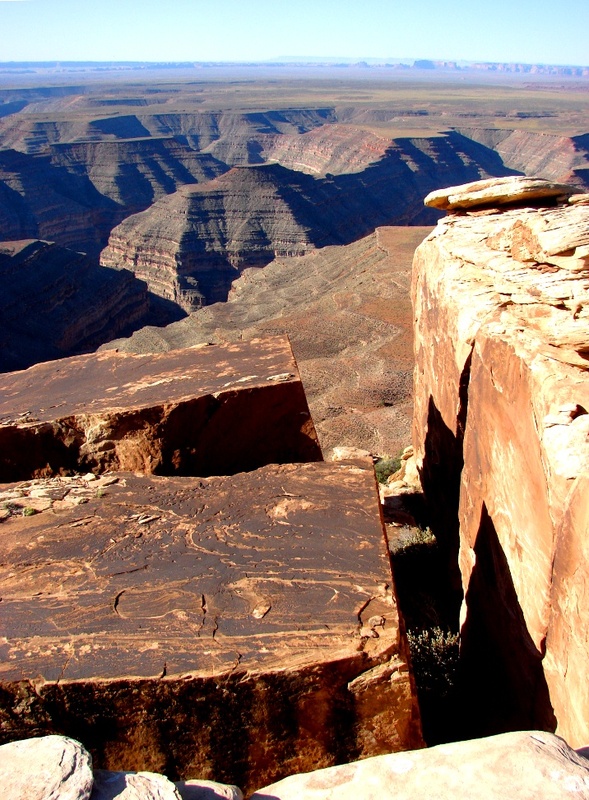 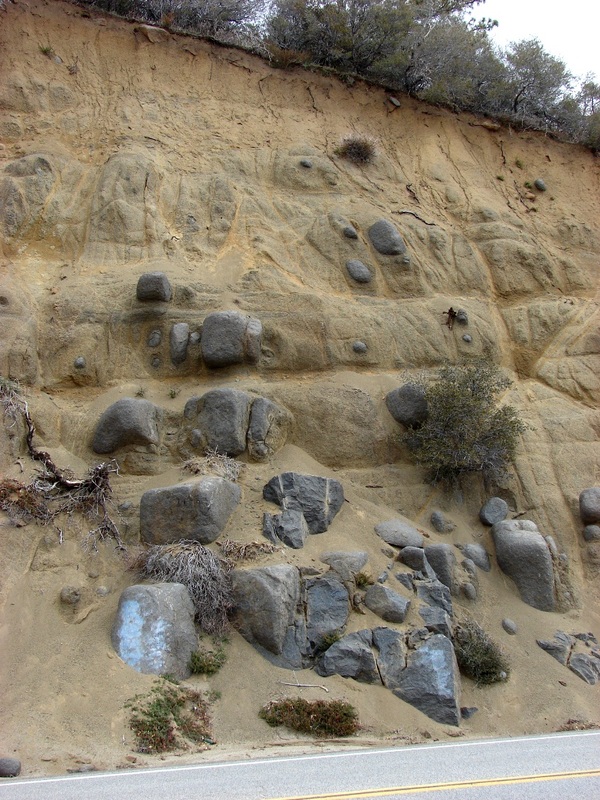 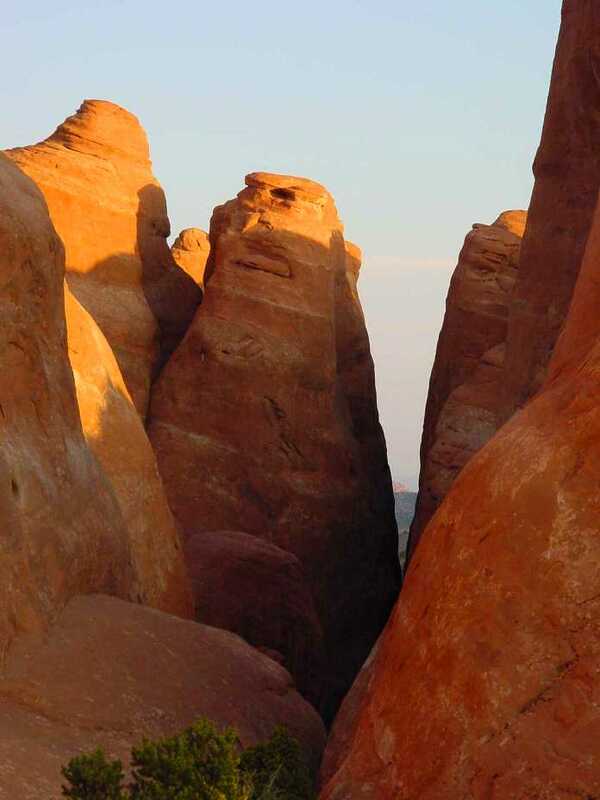 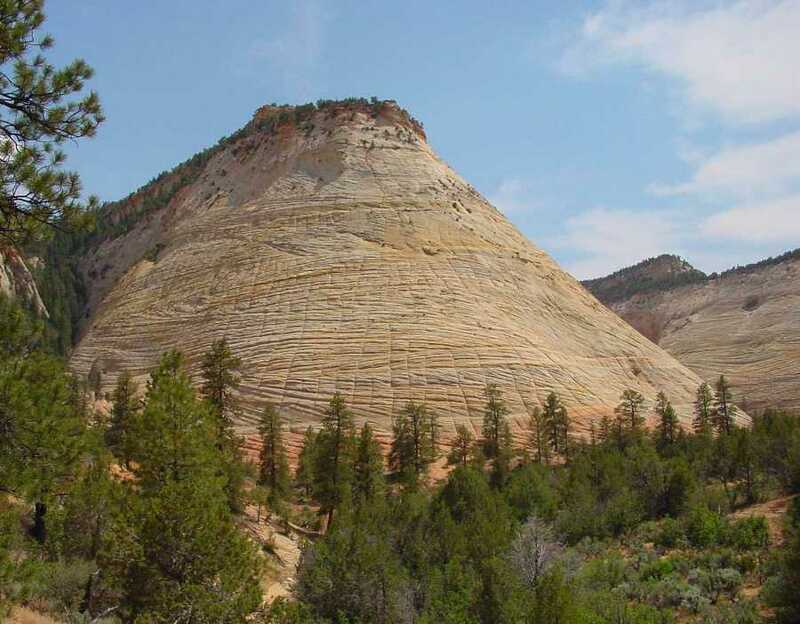 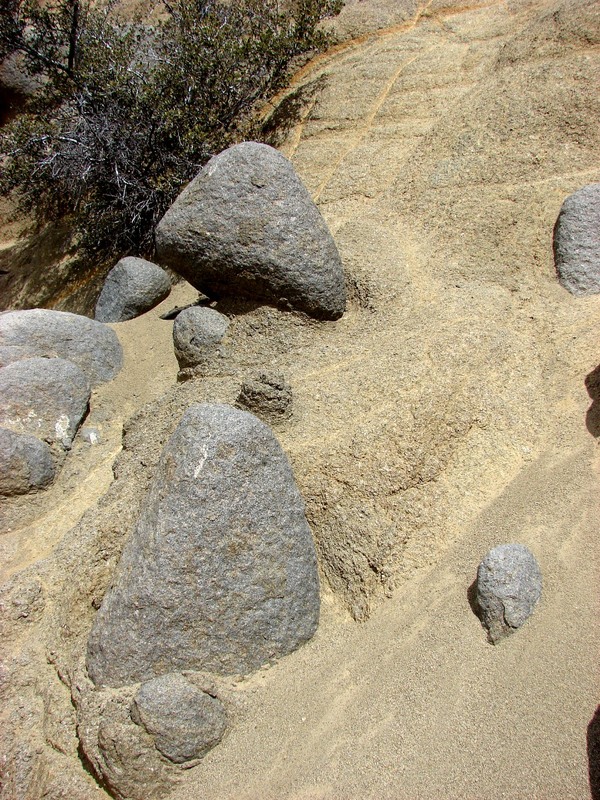 Unloading (removal of weight of overlying rocks) can cause homogenous rocks to expand and crack, forming joints (more or less perpendicular to the surface) and exfoliation sheets (parallel to the surface of the rock). 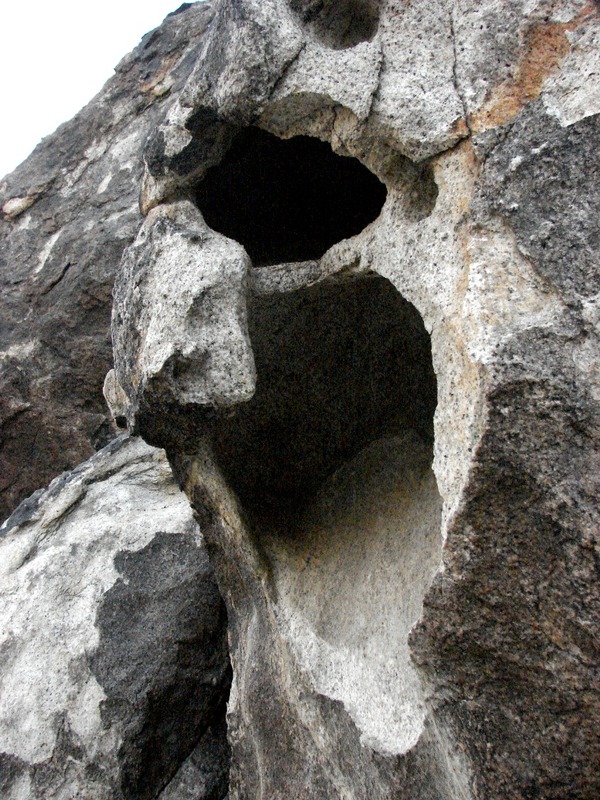 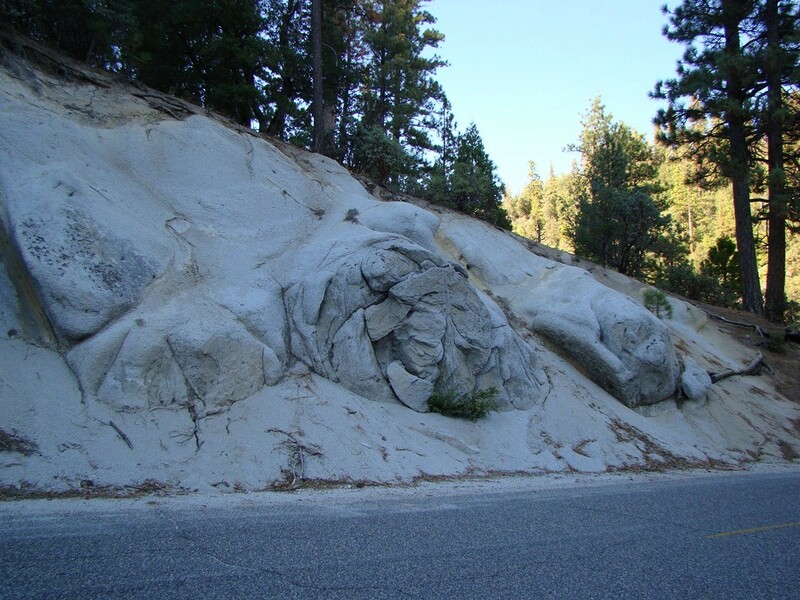 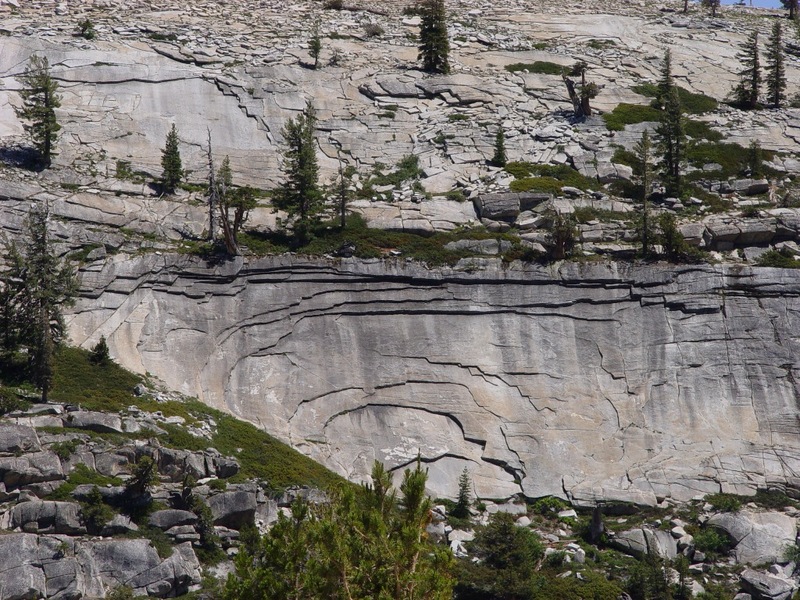 Granite exposures in places like the Sierra Nevada or Peninsular Ranges of California provide wonderful exposures of jointing and exfoliation. 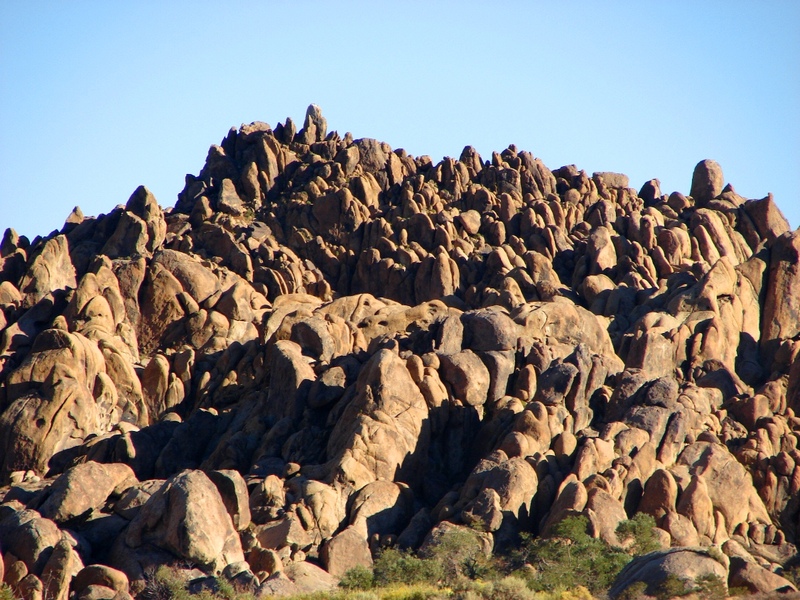 Spheroidal weathering in granitic rocks of the Laguna Mtns, San Diego County, CA Spheroidal weathering in granitic rocks. 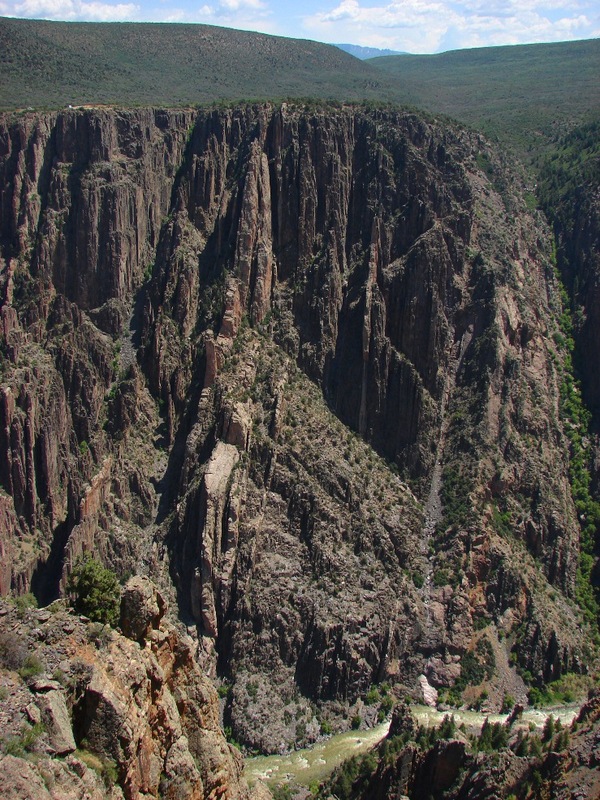 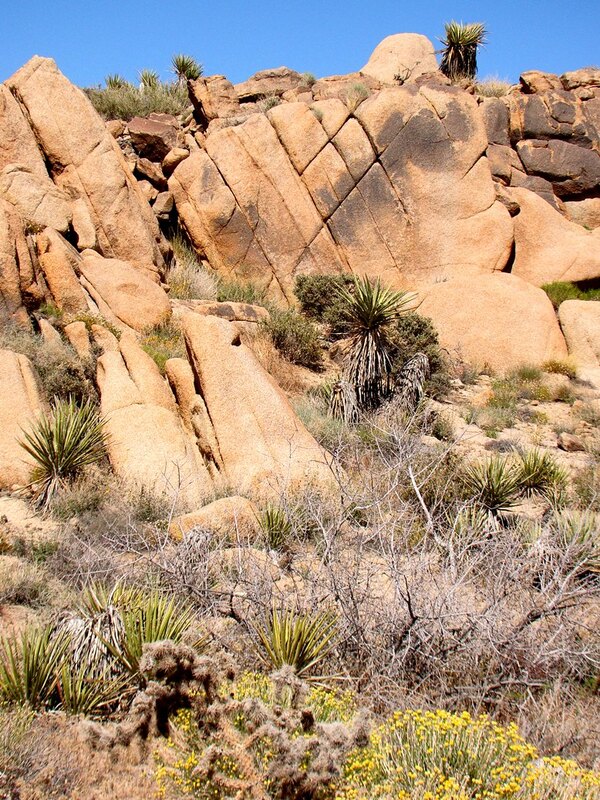 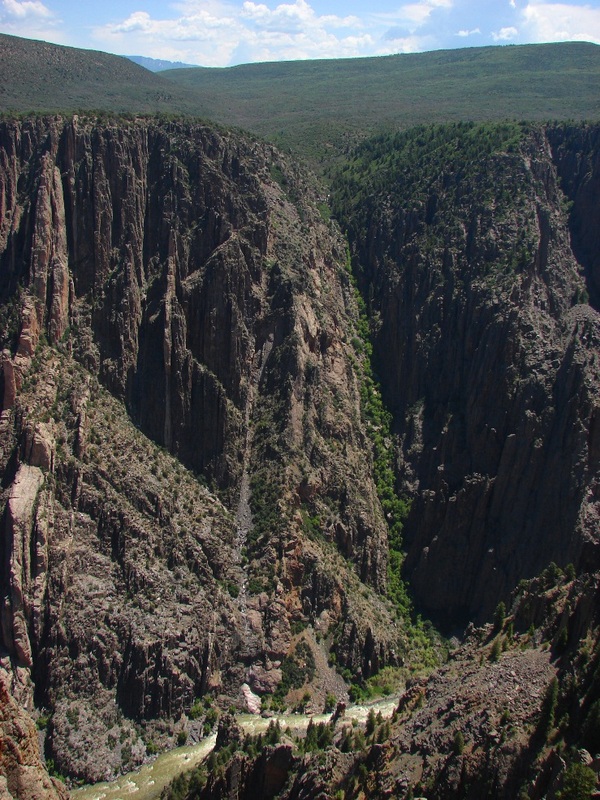 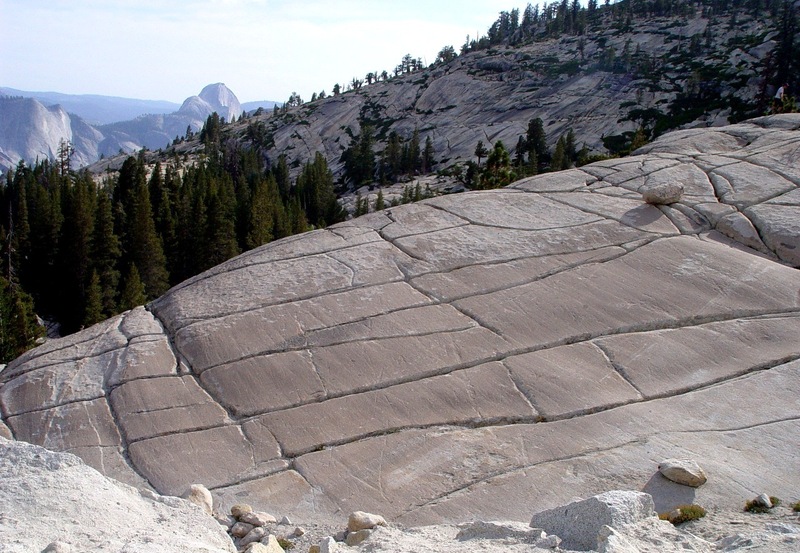 Chemical weathering occurred along joints where water could seep Spheroidal weathering in granitic rocks. 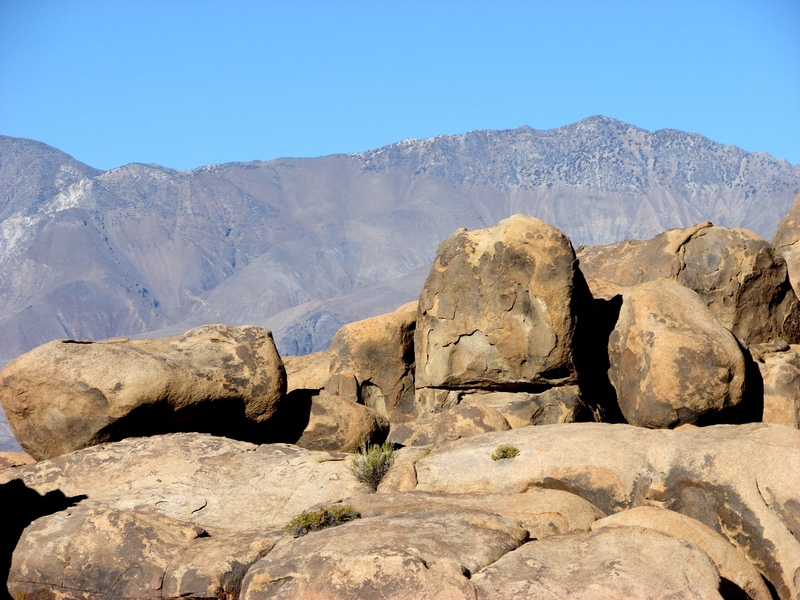 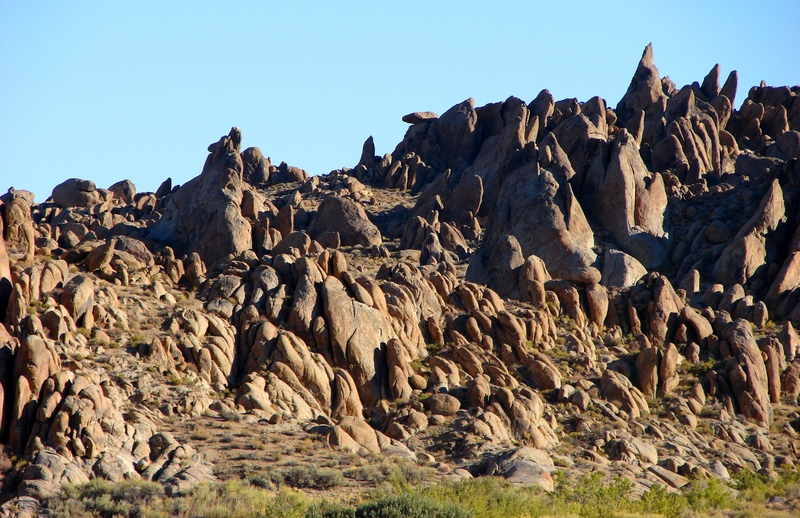 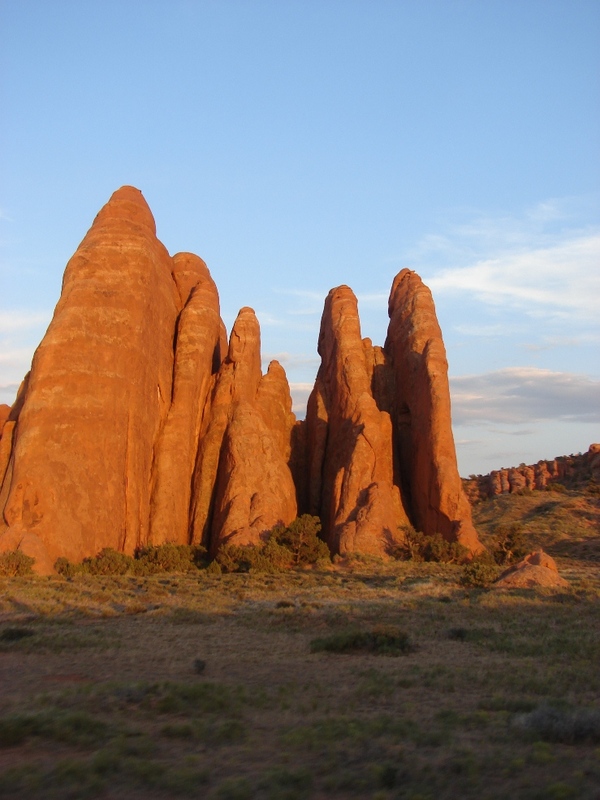 The loose weathered material between the boulders is called grus. 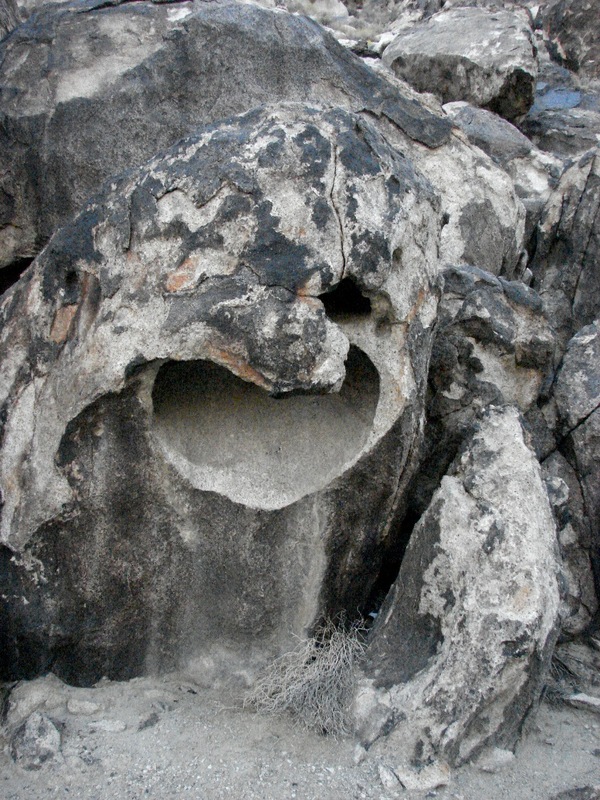 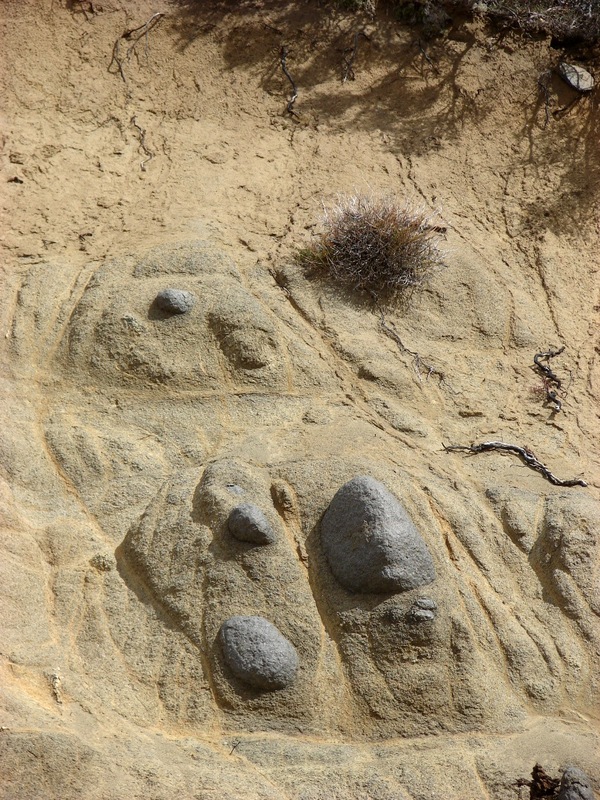 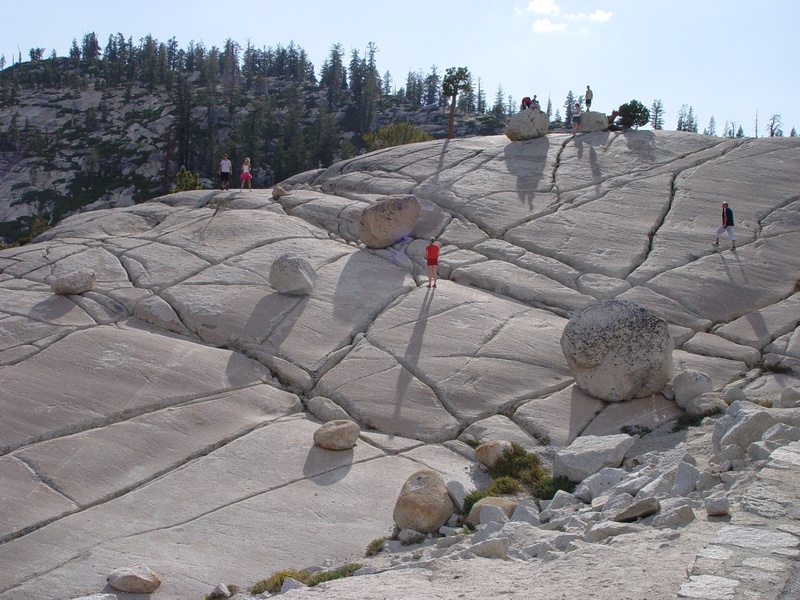 Spheroidal weathering in granitic rocks. 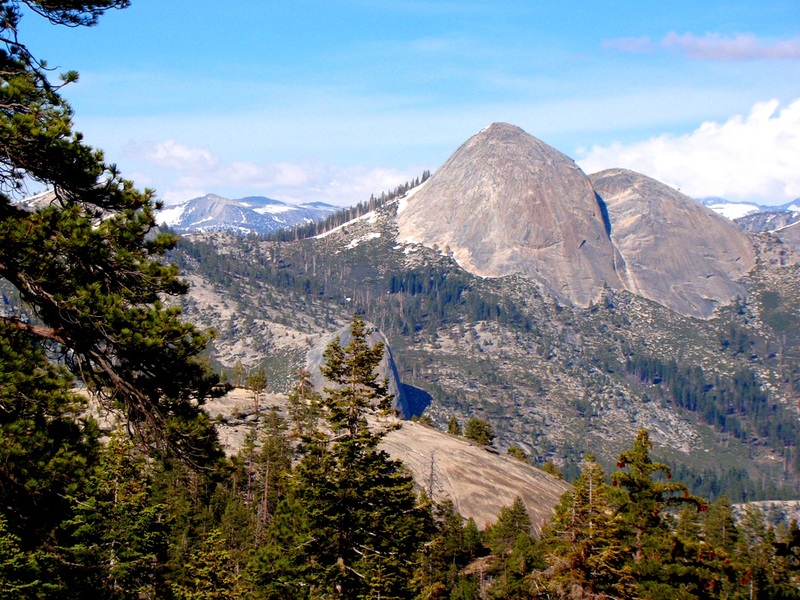 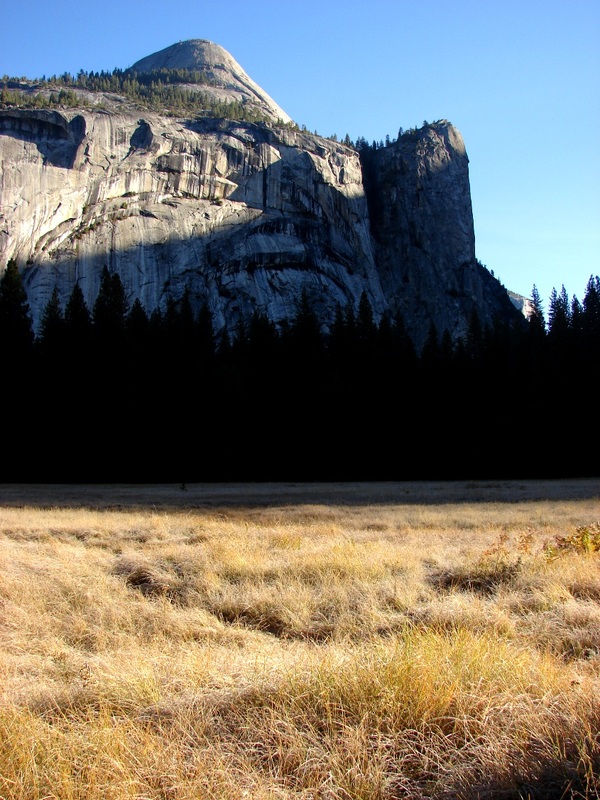 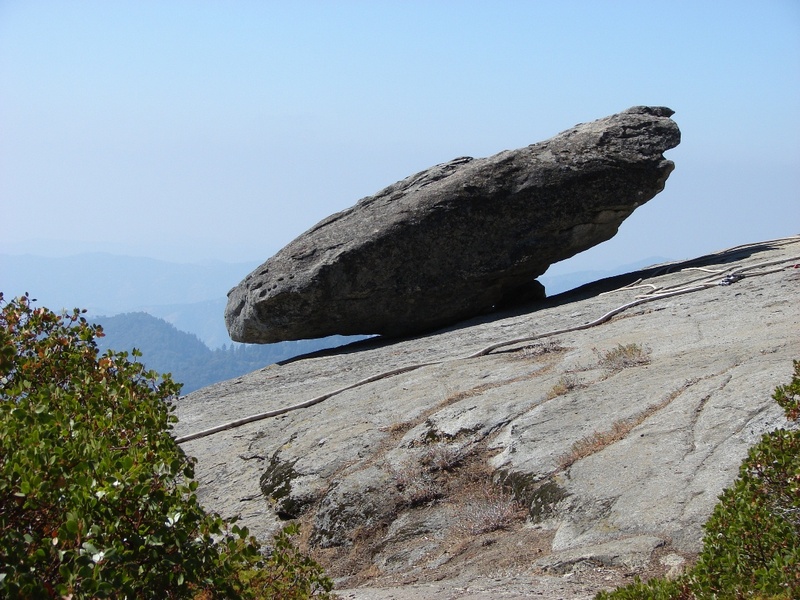 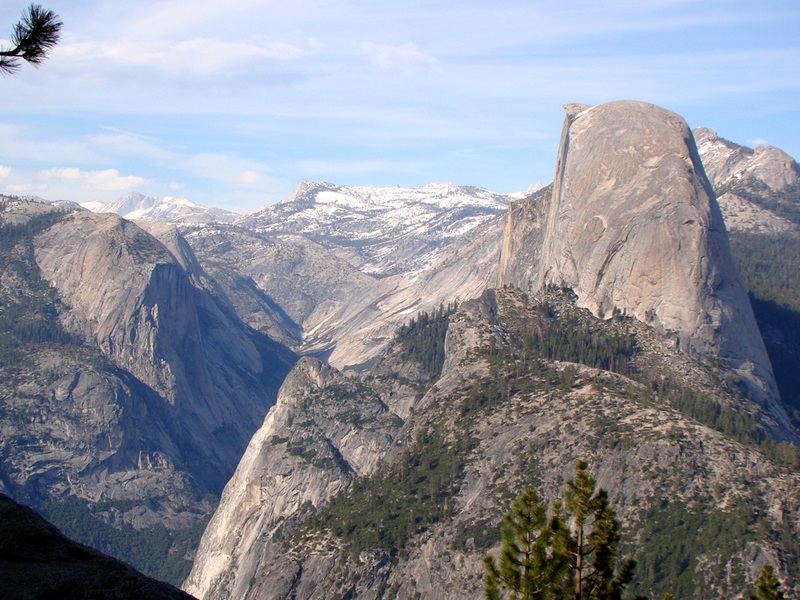 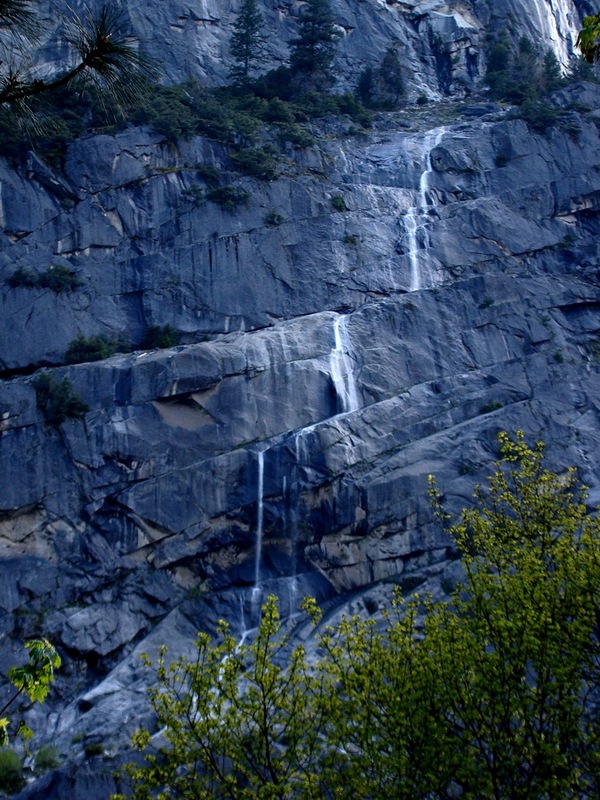 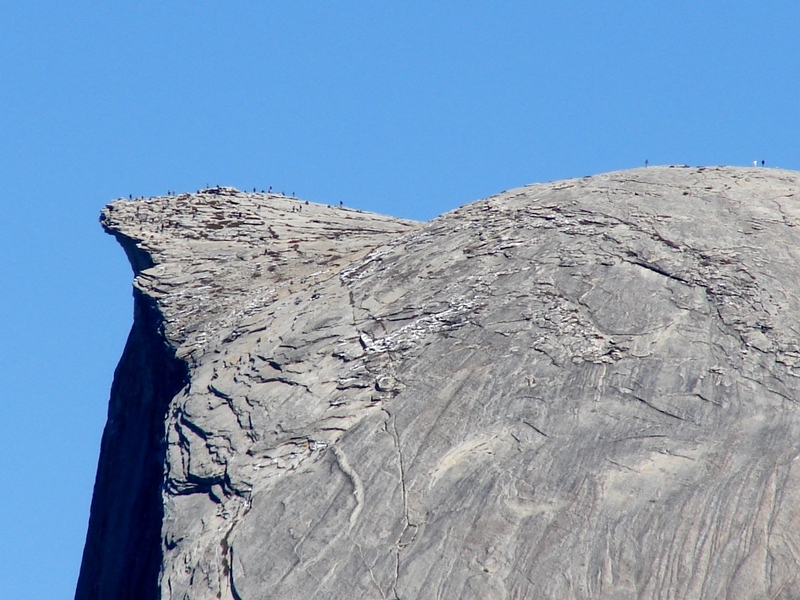 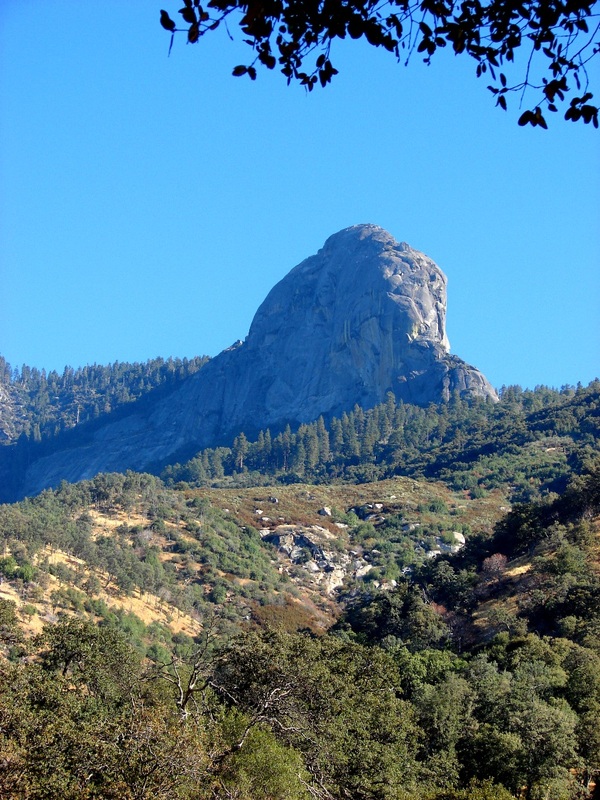 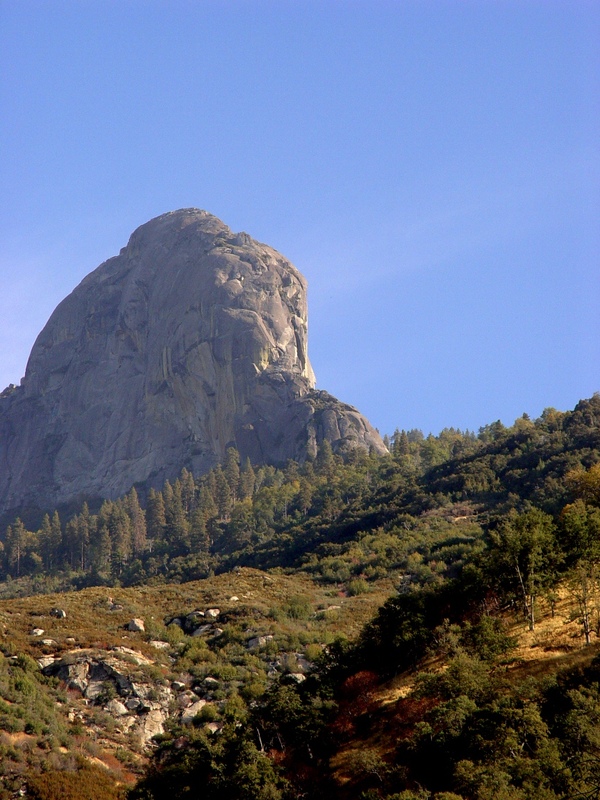 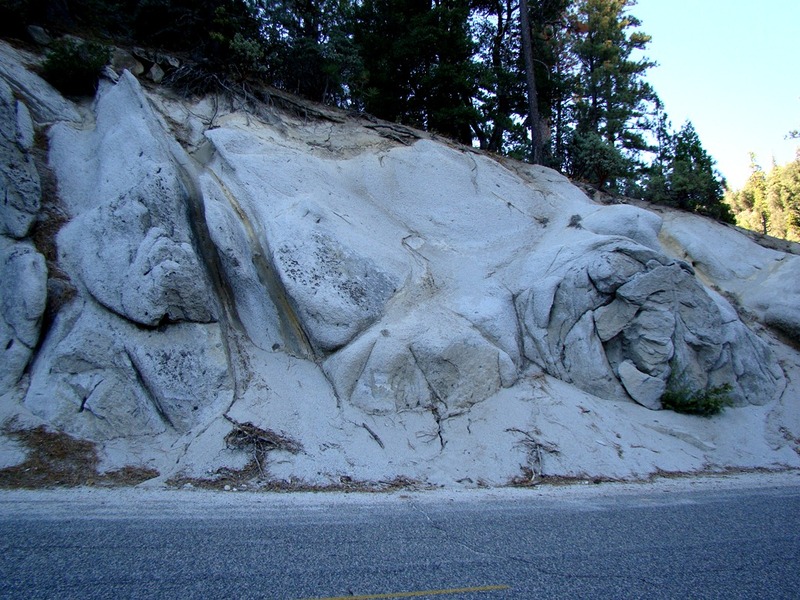 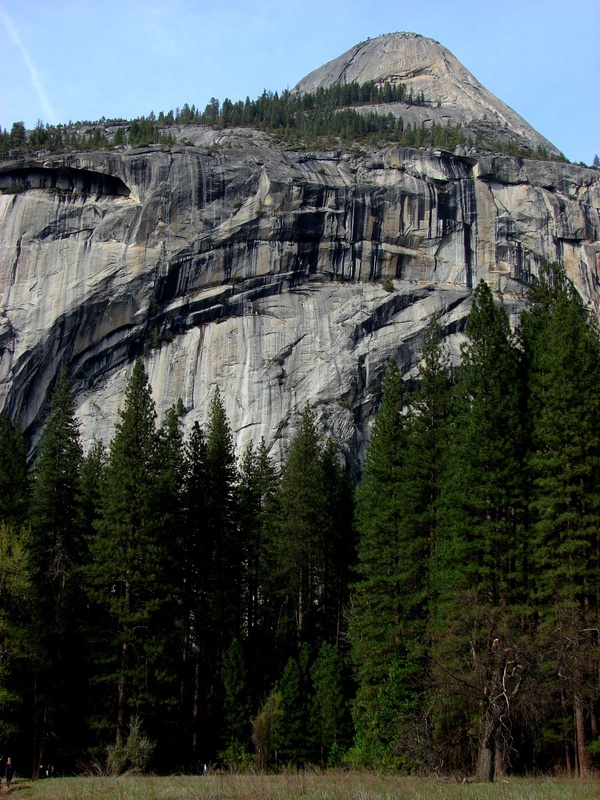 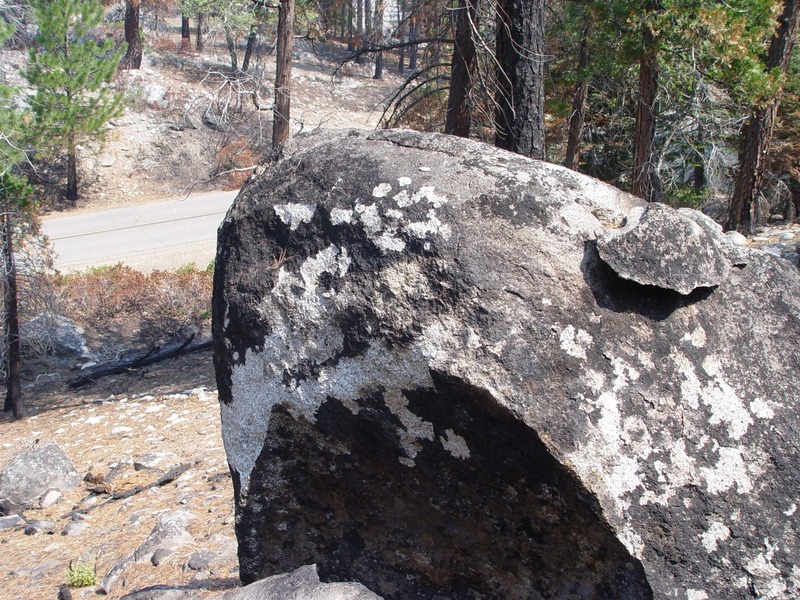 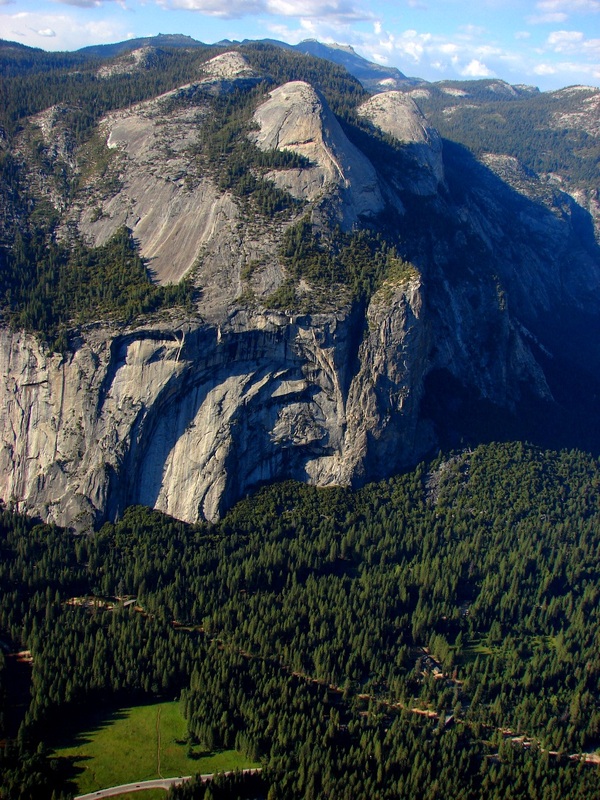 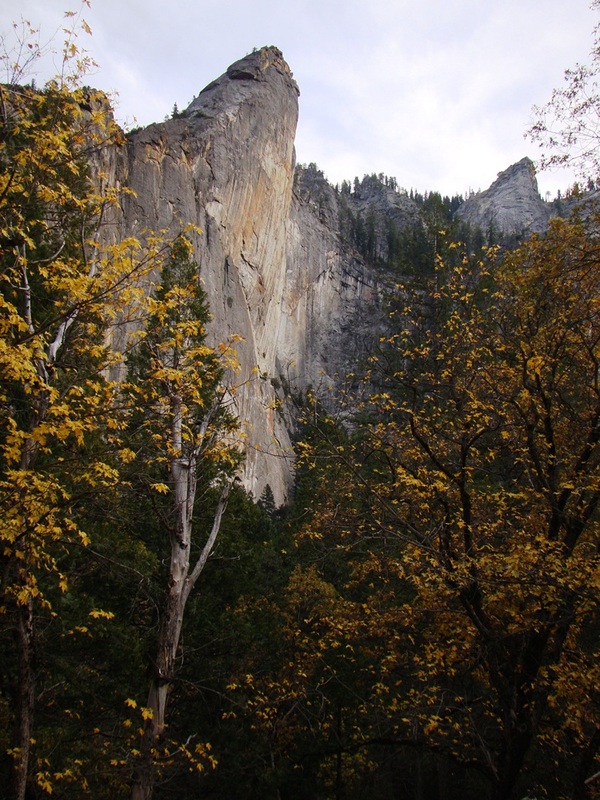 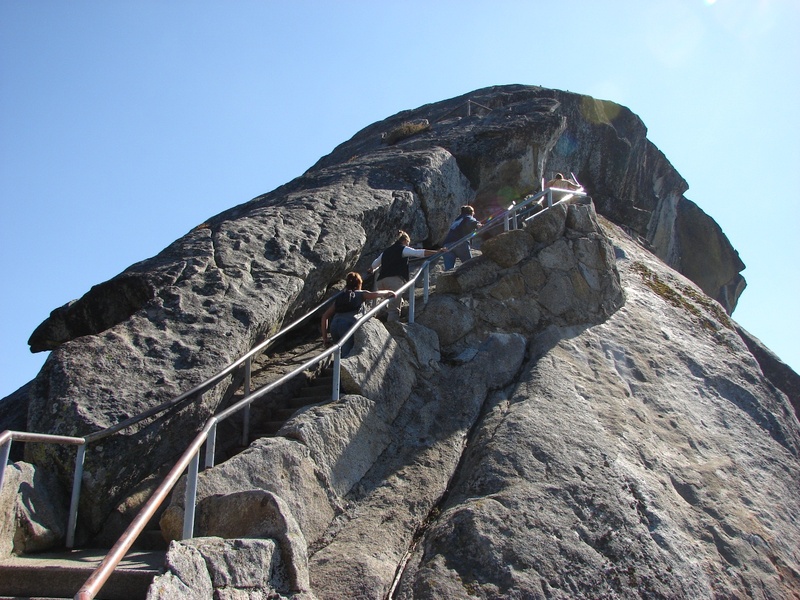 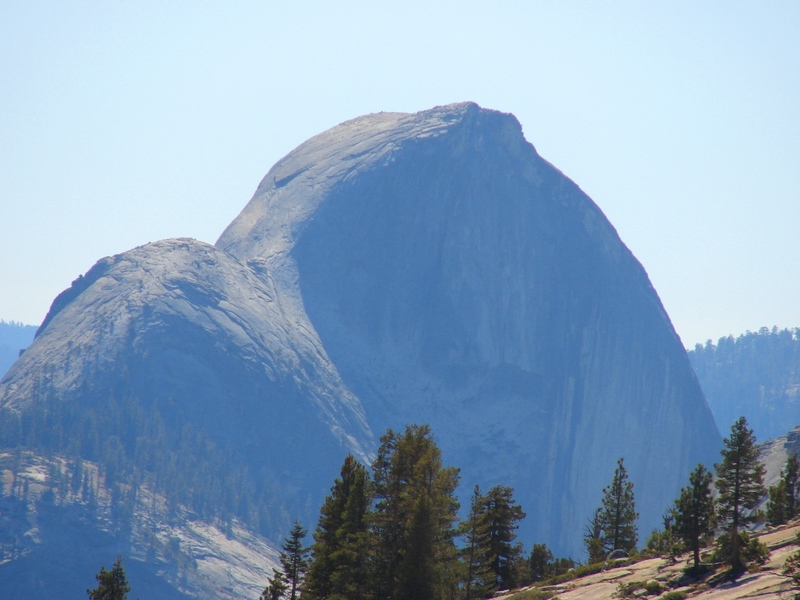 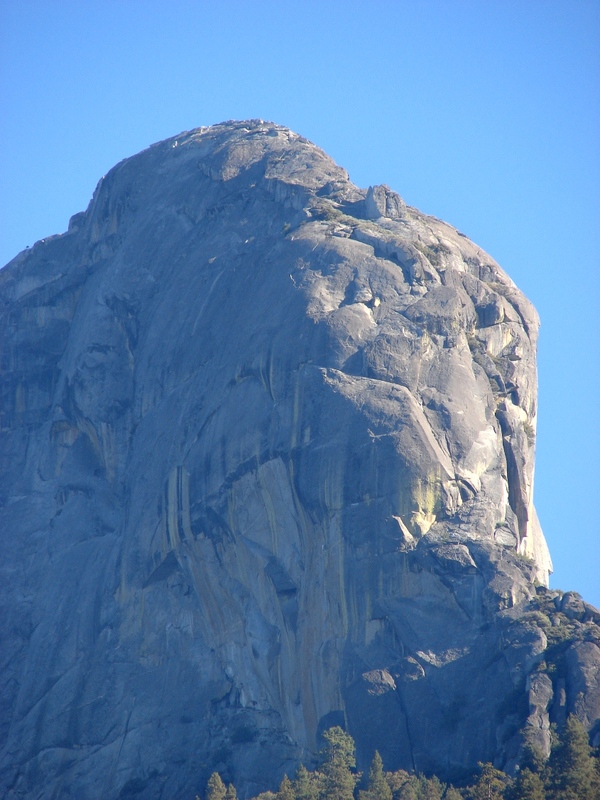 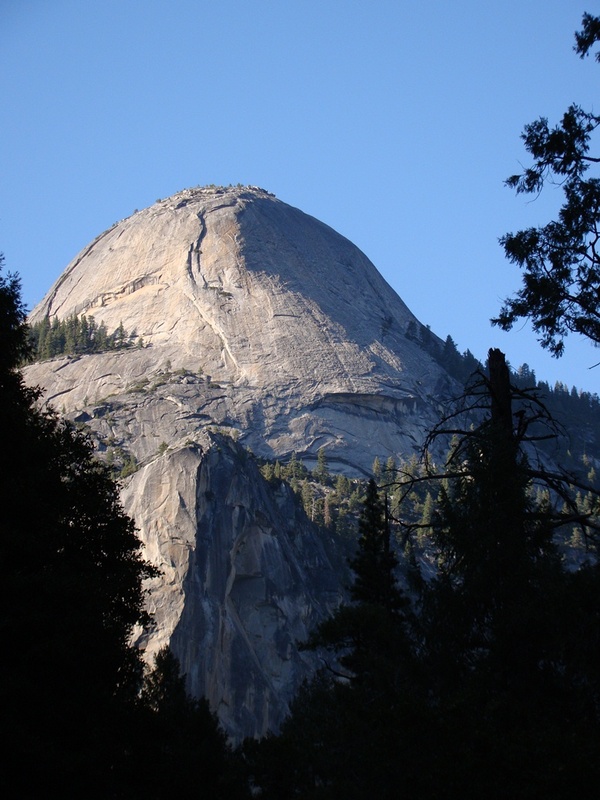 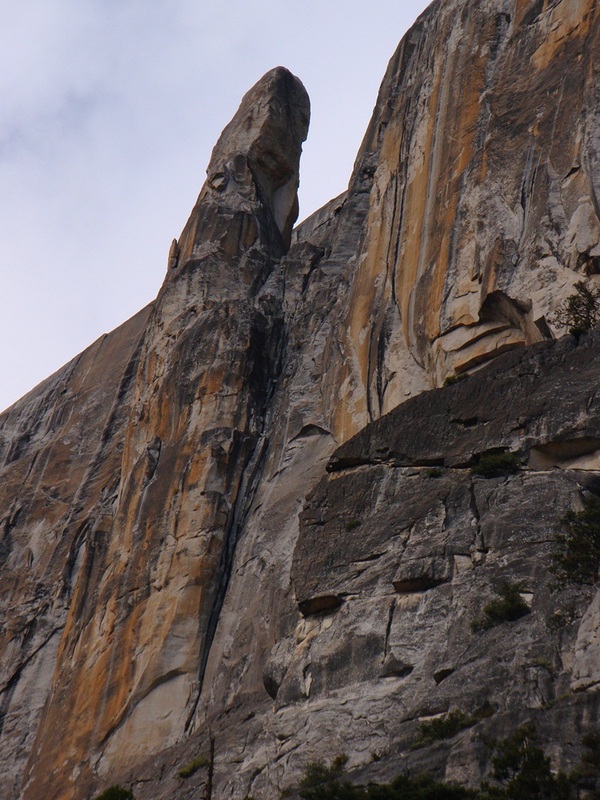 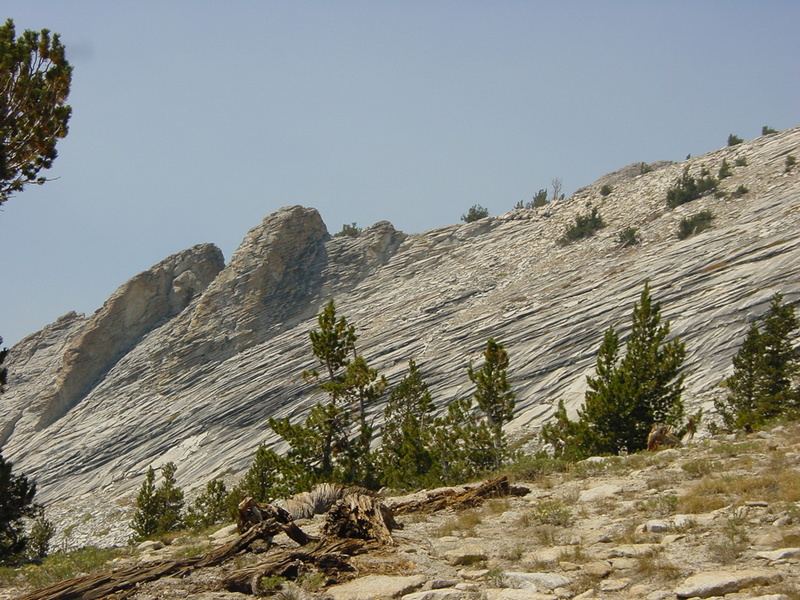 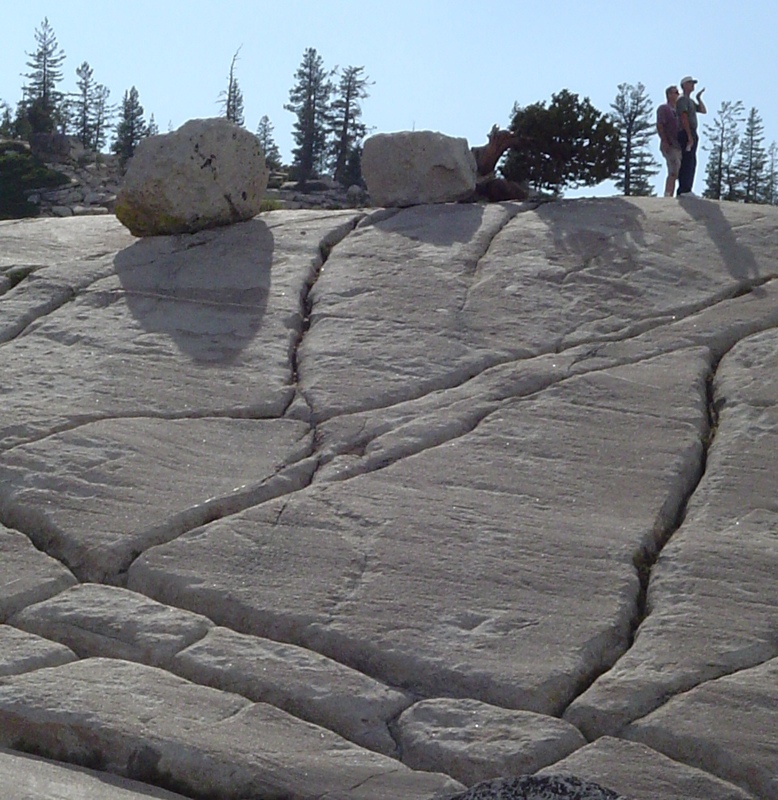 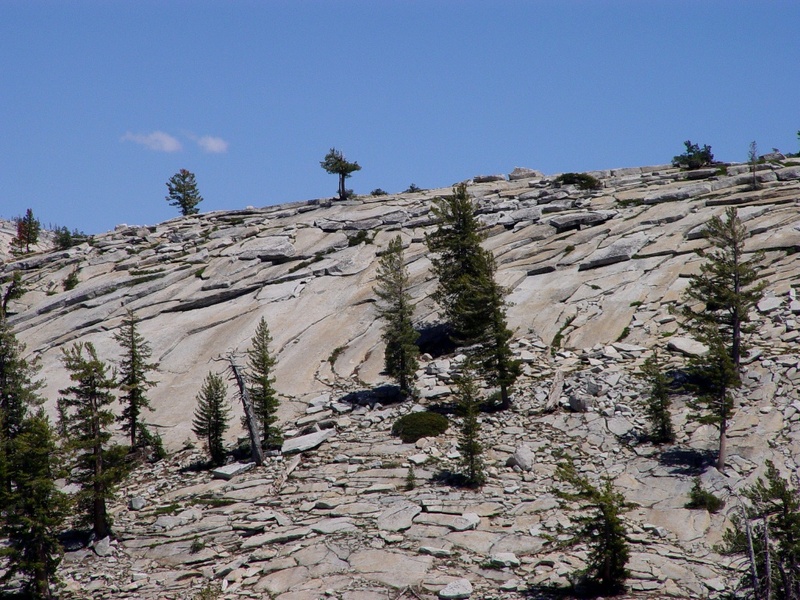 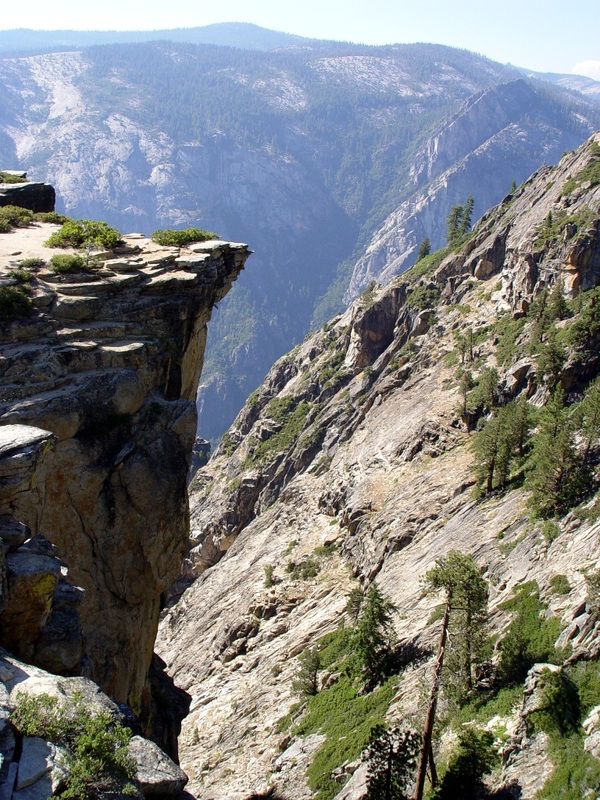 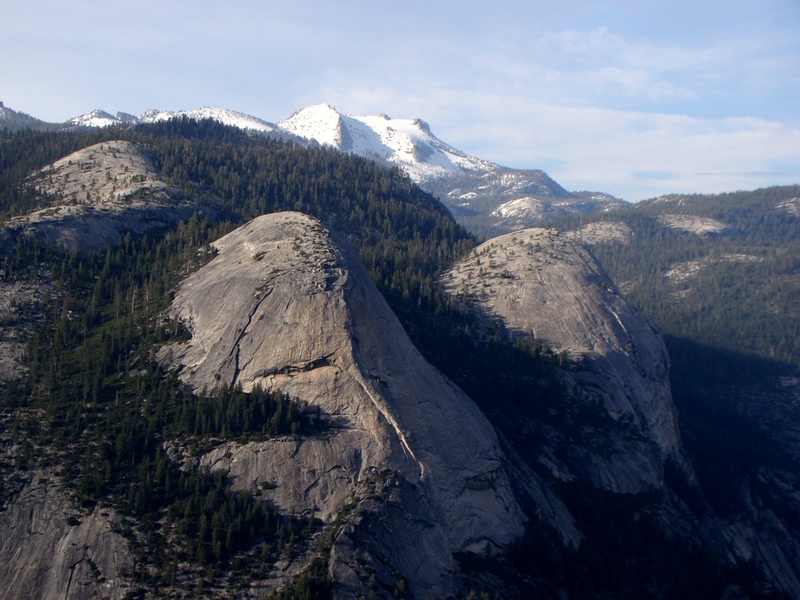 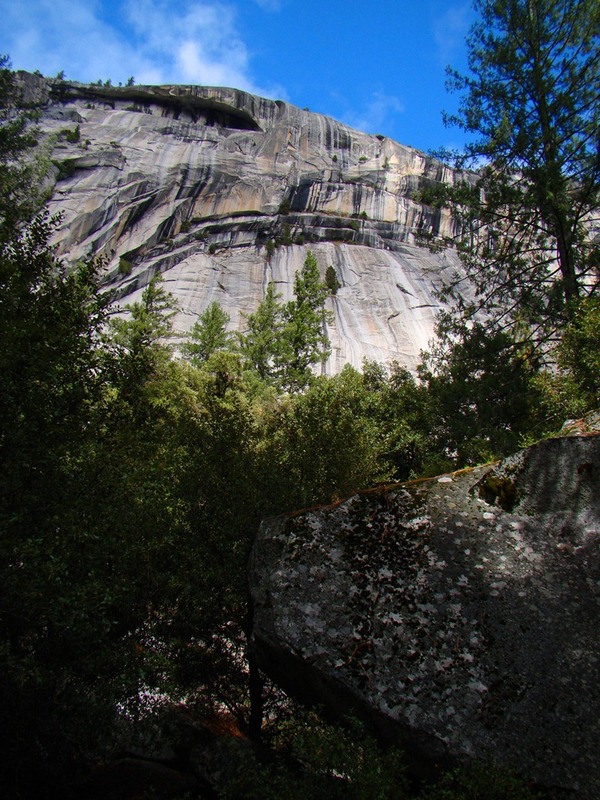 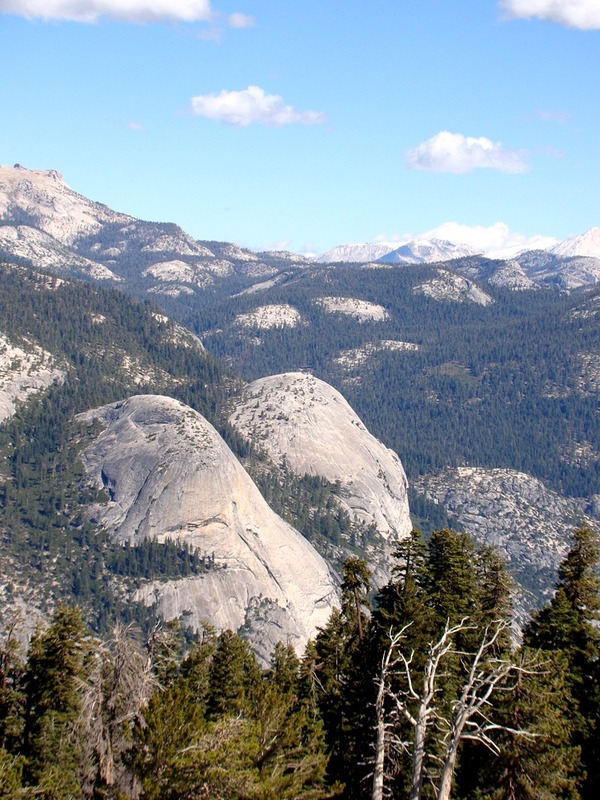 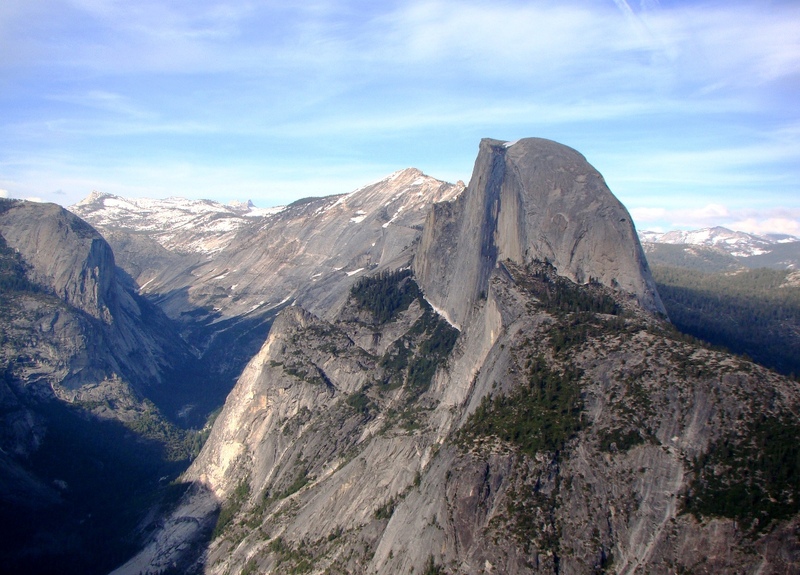 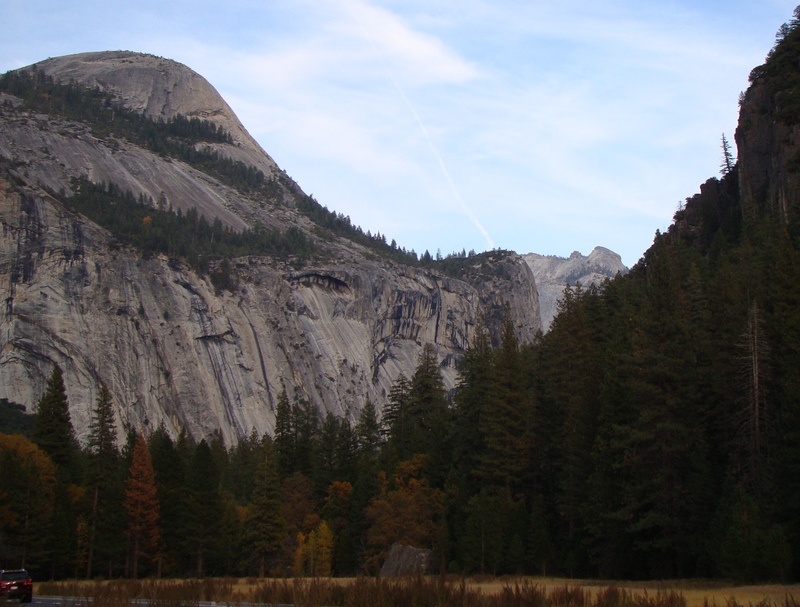 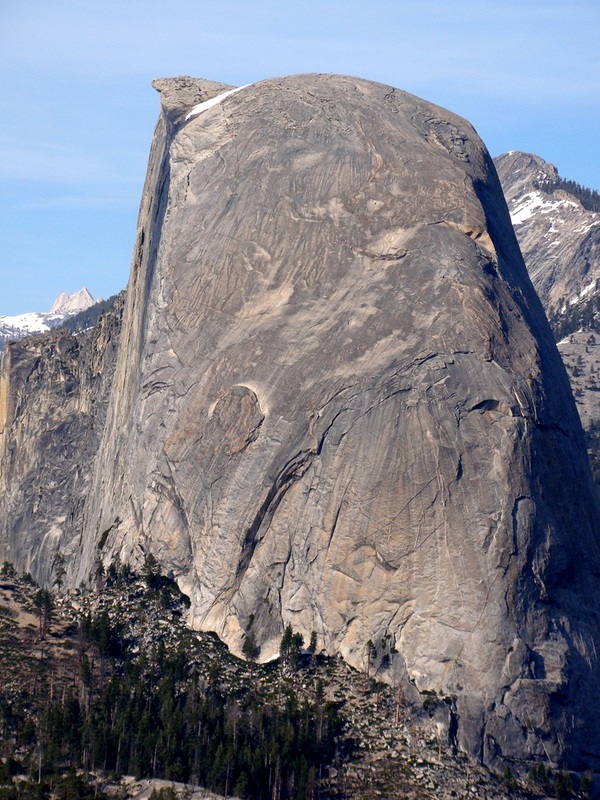 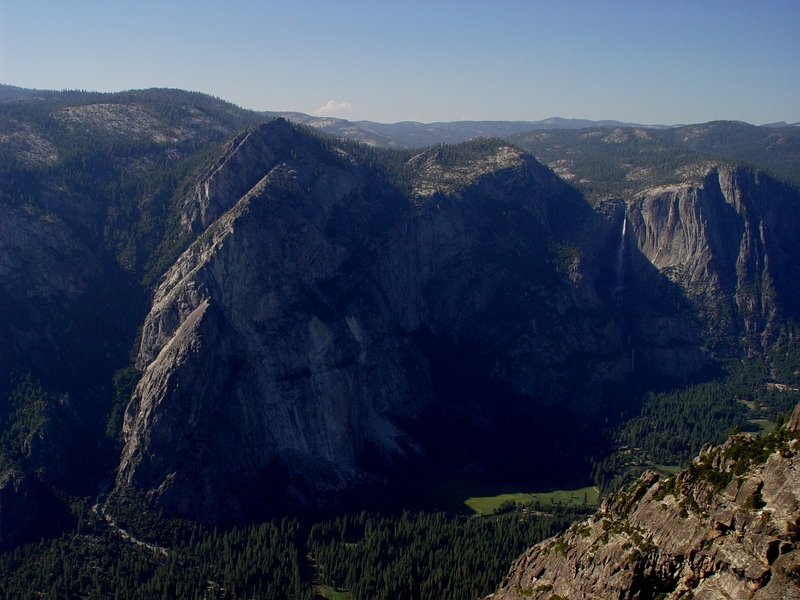 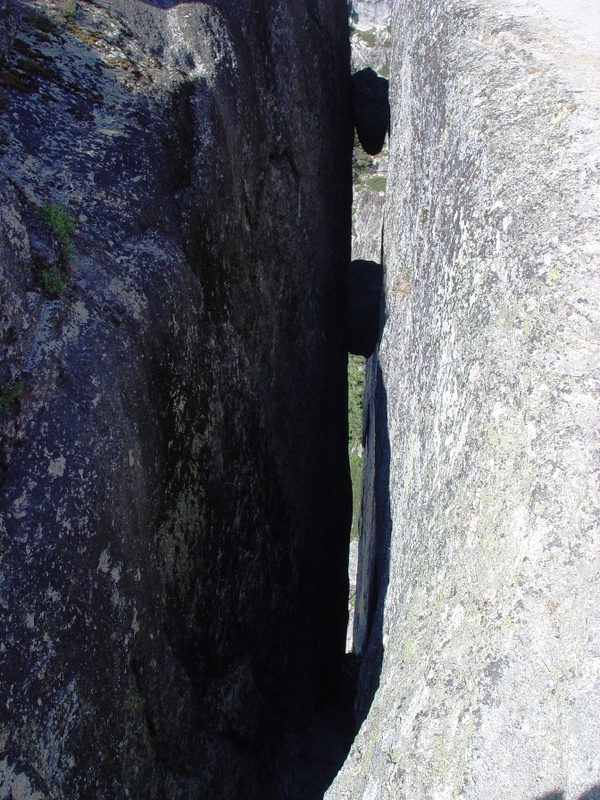 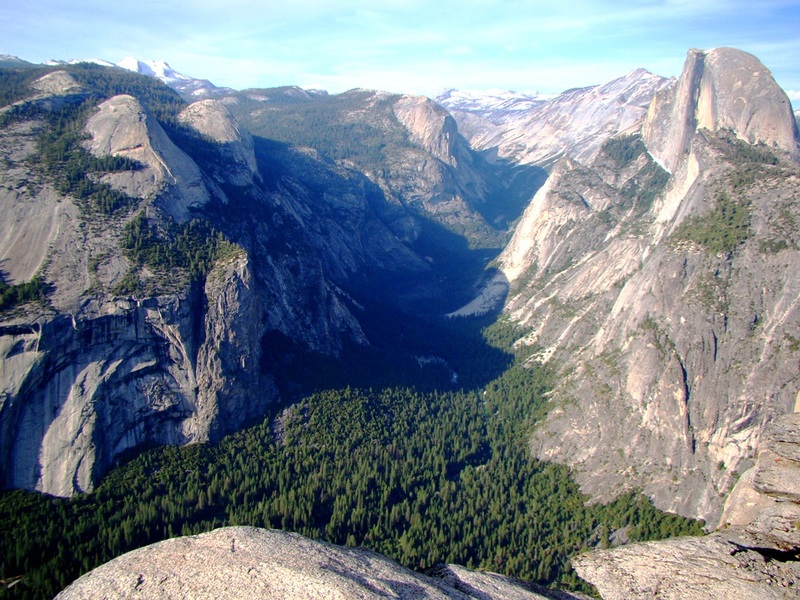 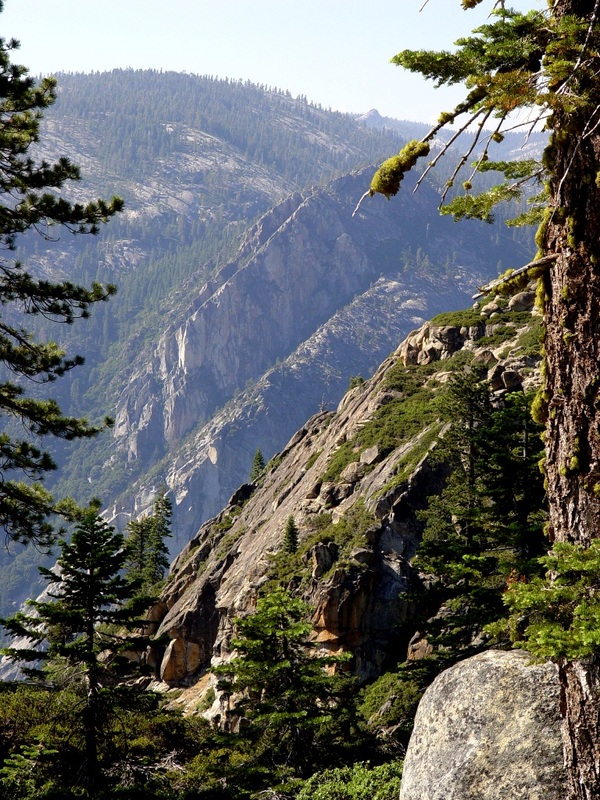 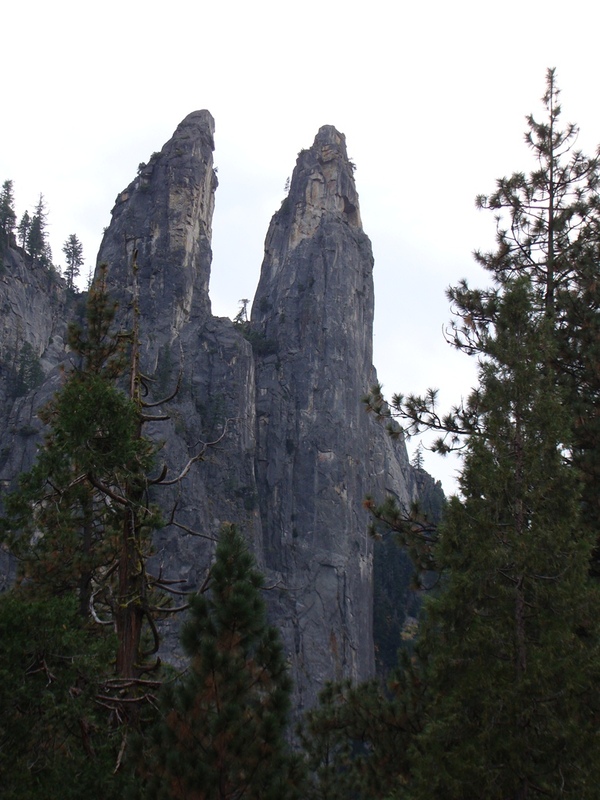 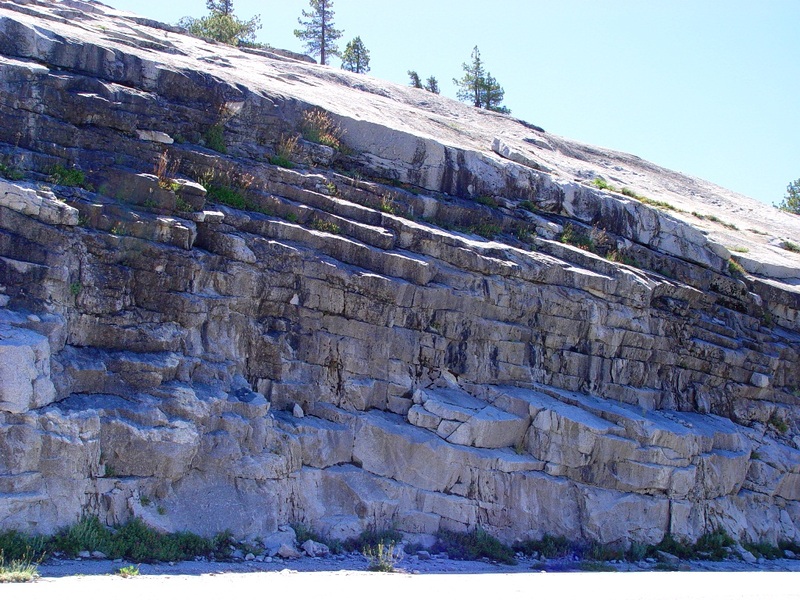 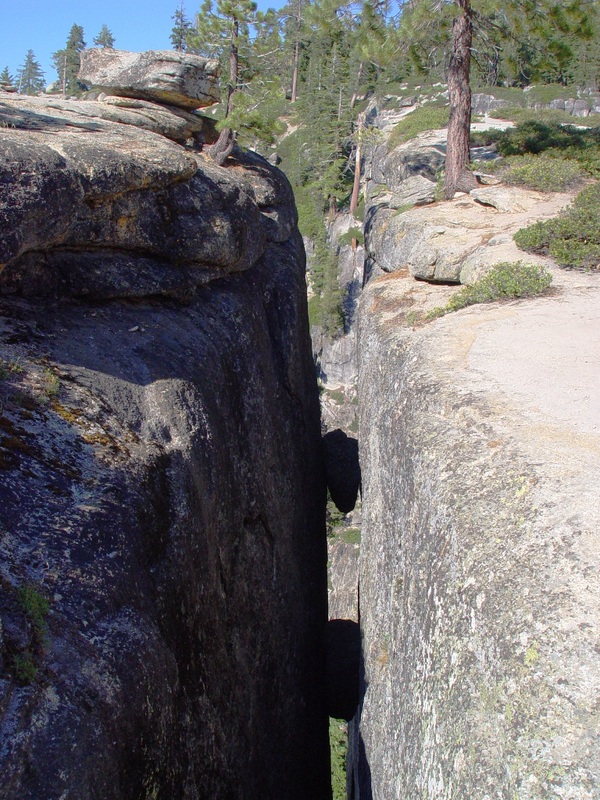 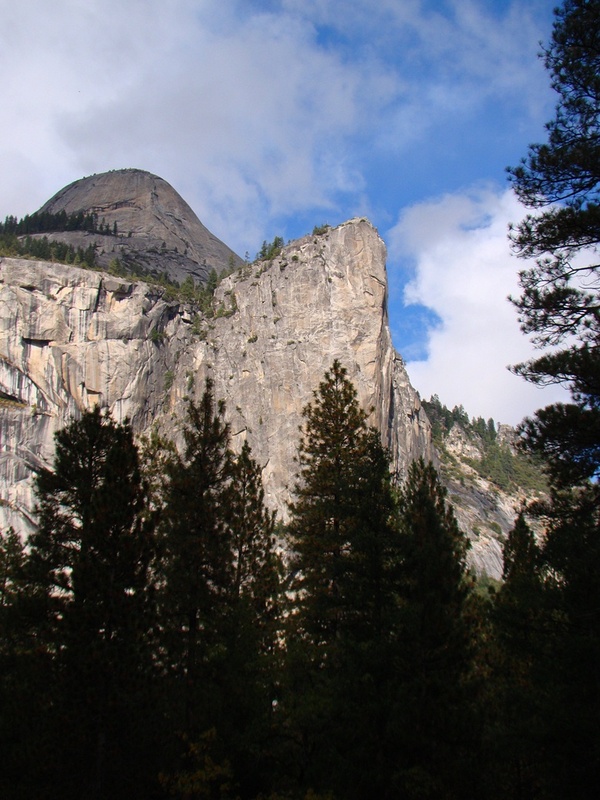 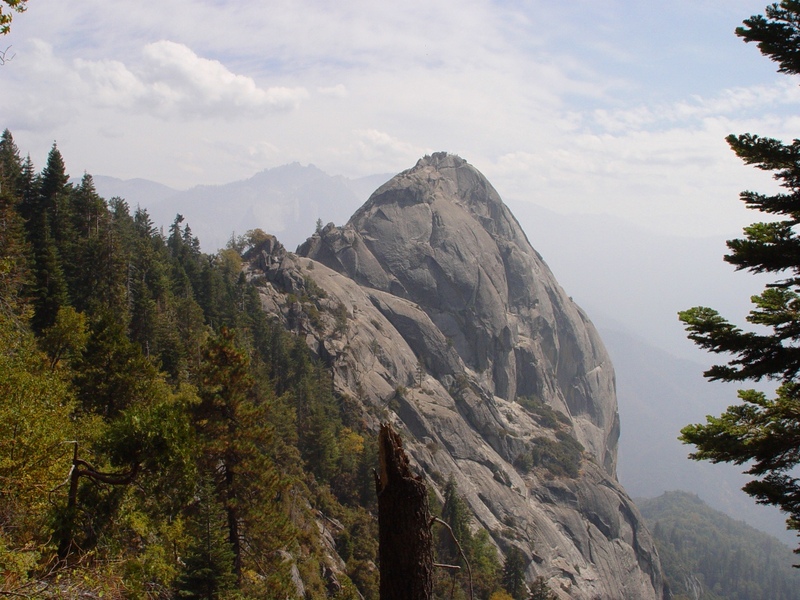 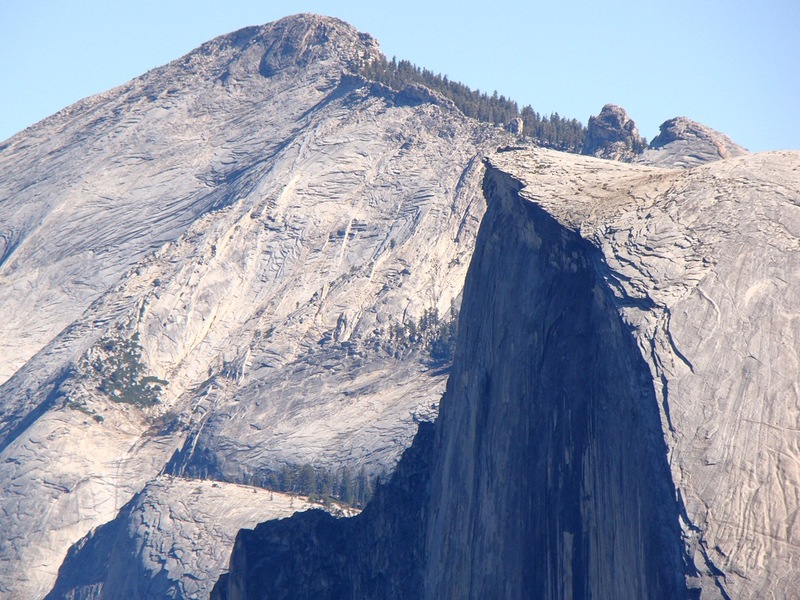 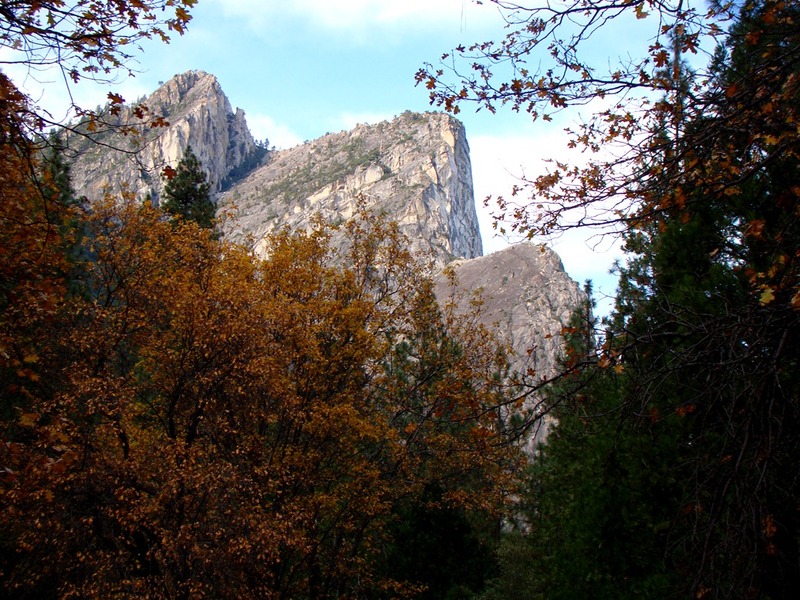 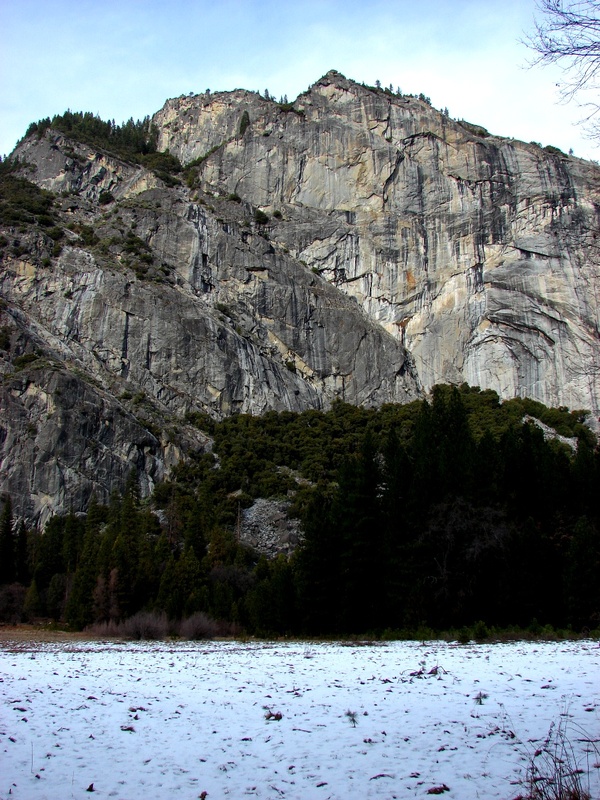 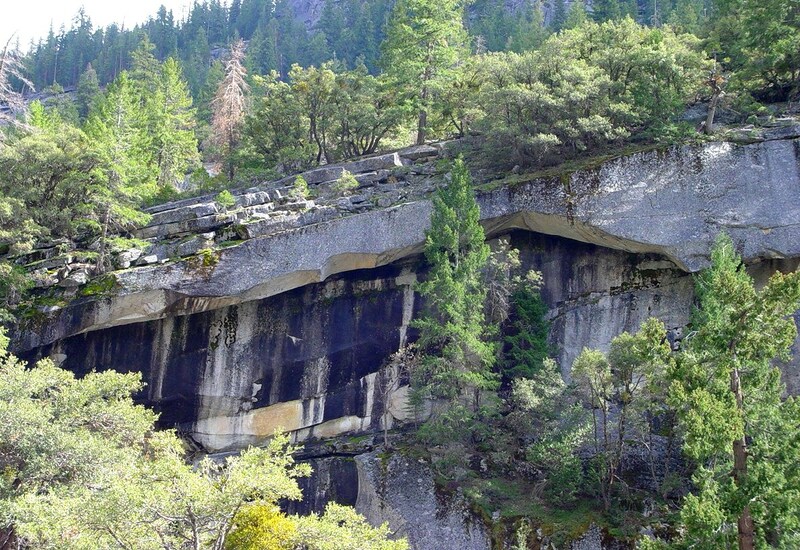 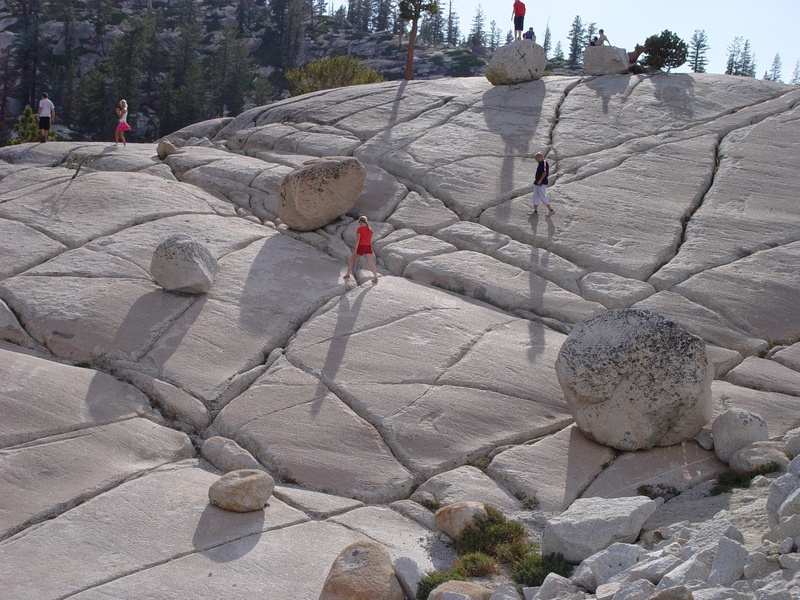 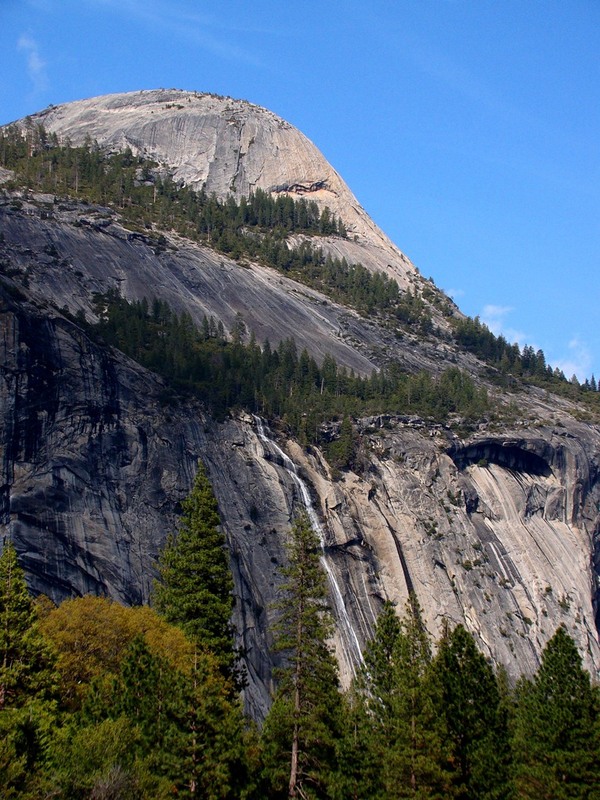 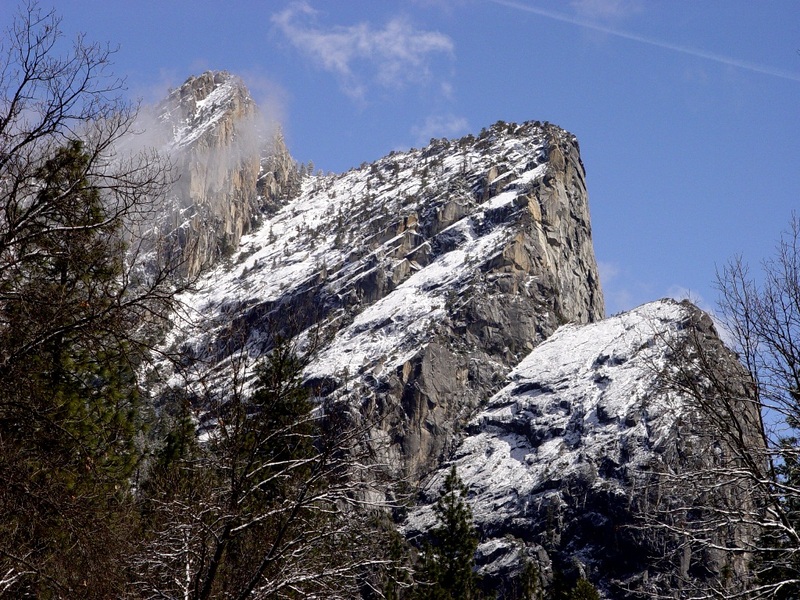 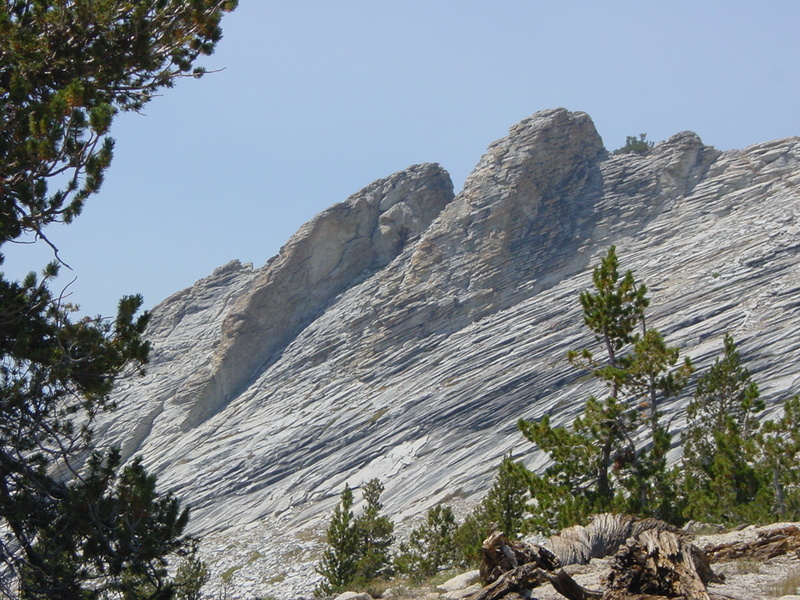 Chemical weathering attacks corners and edges more effectively, causing rounding of boulders Spheroidal weathering in granitic rocks of the Laguna Mountains of San Diego County, CA Stairstep Falls on south wall of Yosemite Valley, with diagonal joints. 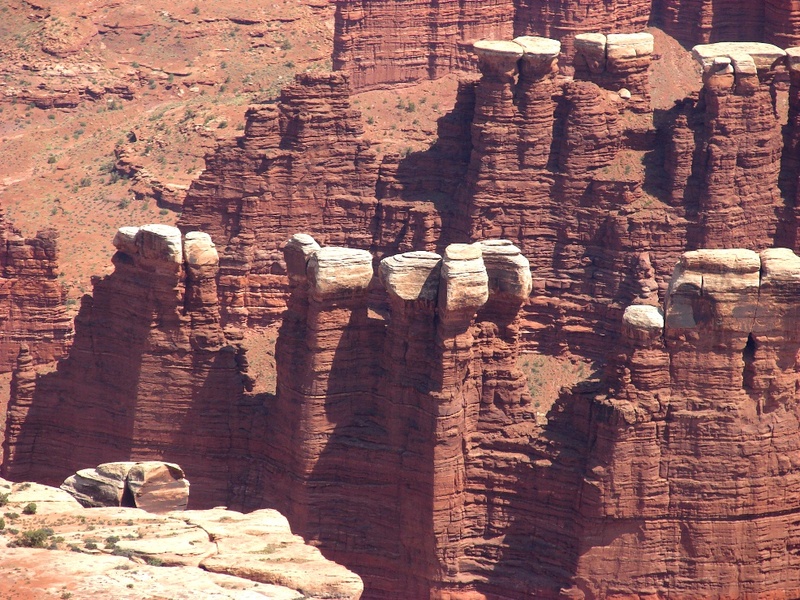 Jointed sandstone blocks at Cedar Mesa, Utah (Permian Cedar Mesa Sandstone) Jointed sandstone blocks at Cedar Mesa, Utah Sipapu Bridge in Natural Bridges National Monument in Utah. 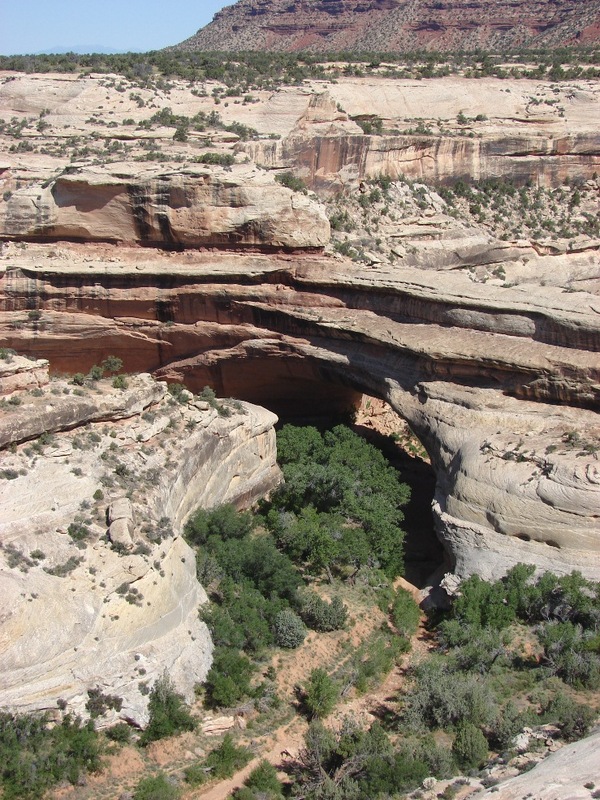 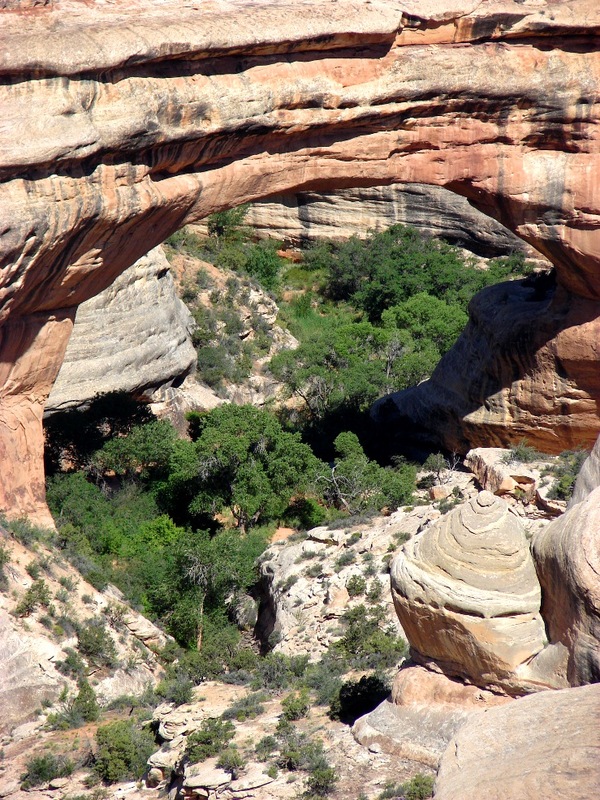 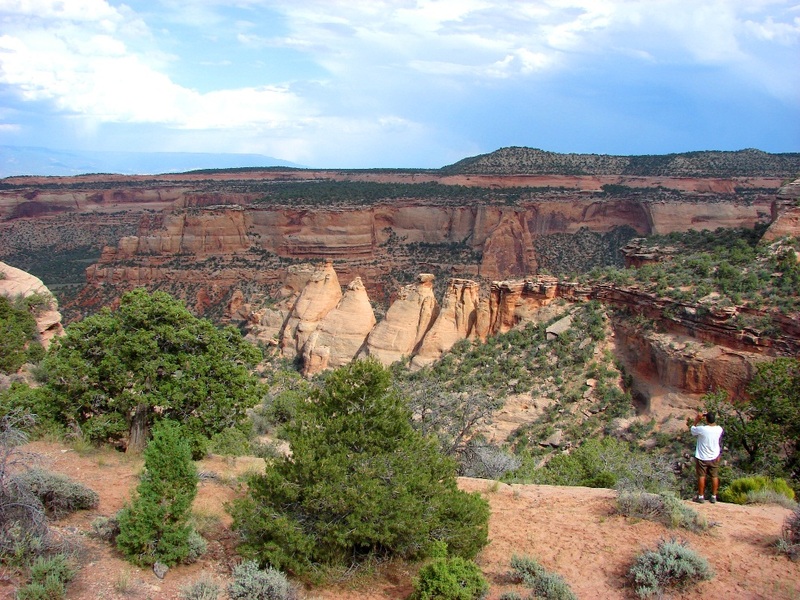 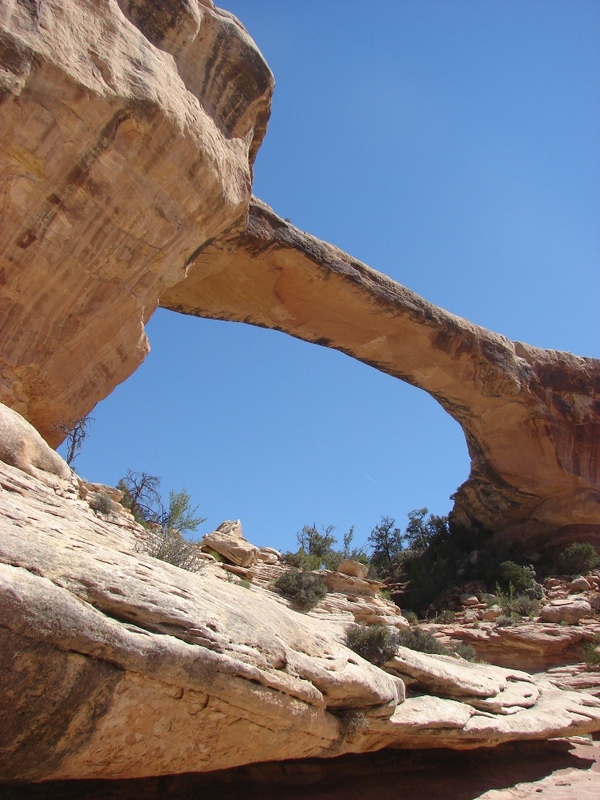 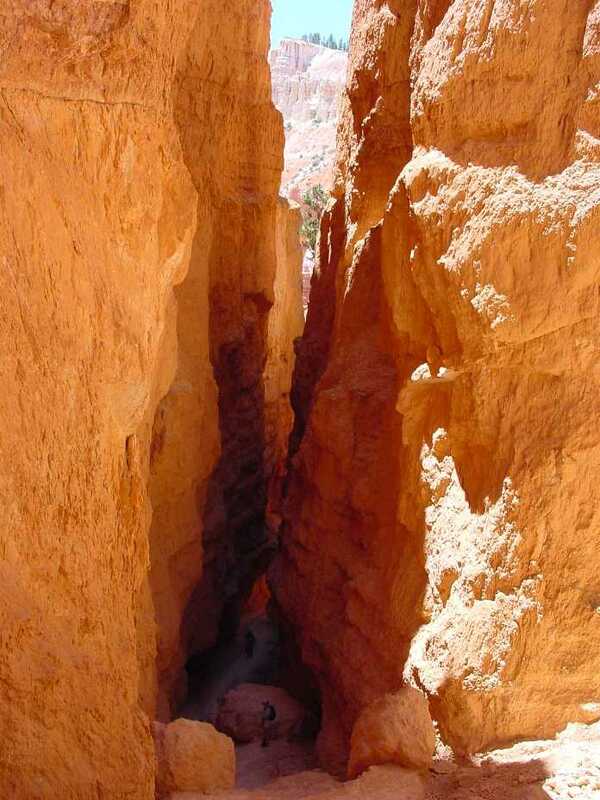 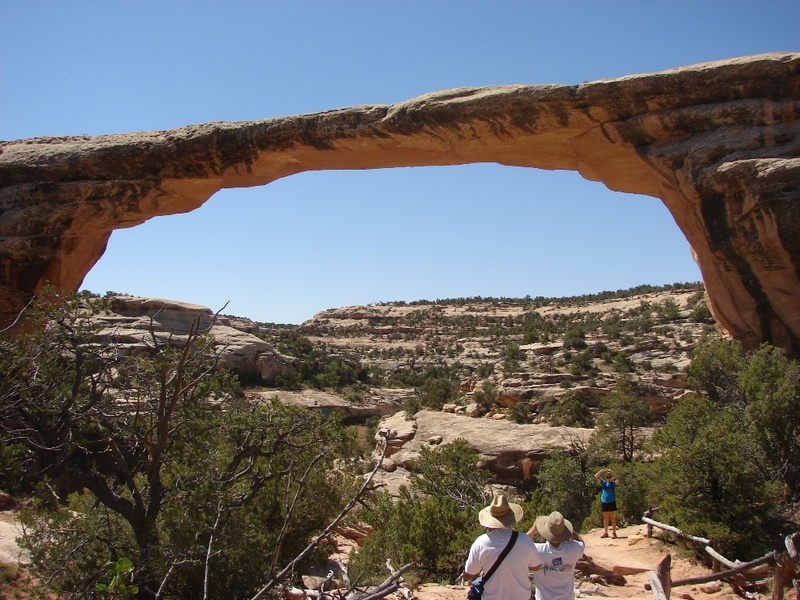 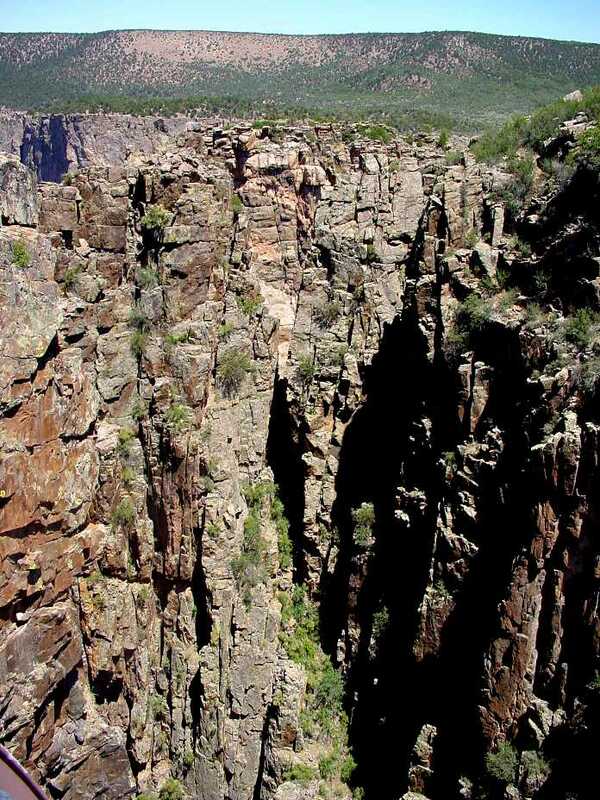 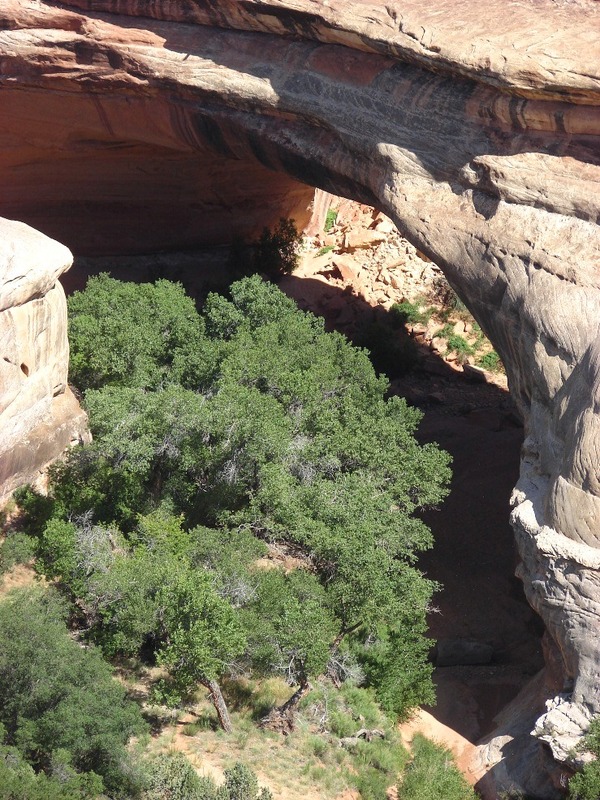 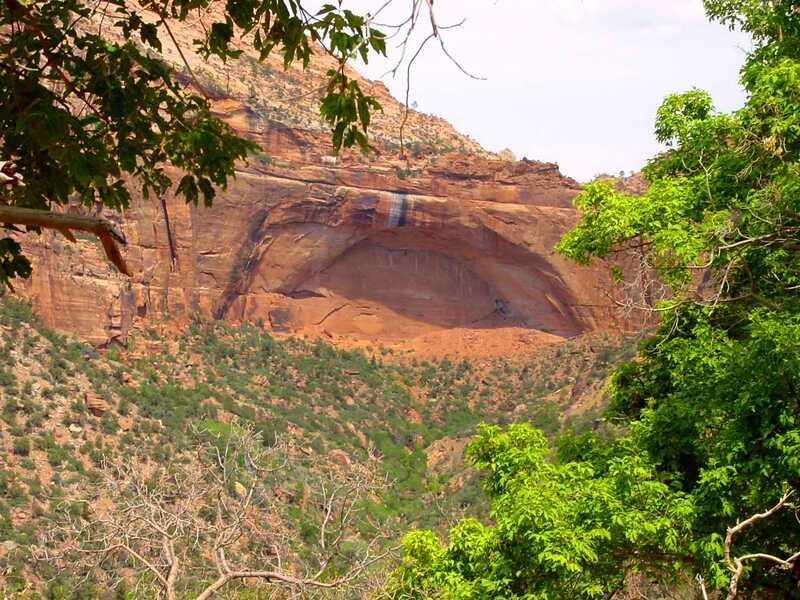 Originally opened by stream erosion, it has grown larger from physical weathering Kachina Bridge at Natural Bridges National Monument, and early stage of bridge development Kachina Bridge at Natural Bridges National Monument Owachomo Bridge at Natural Bridges National Monument, a bridge in the latest stage of development. 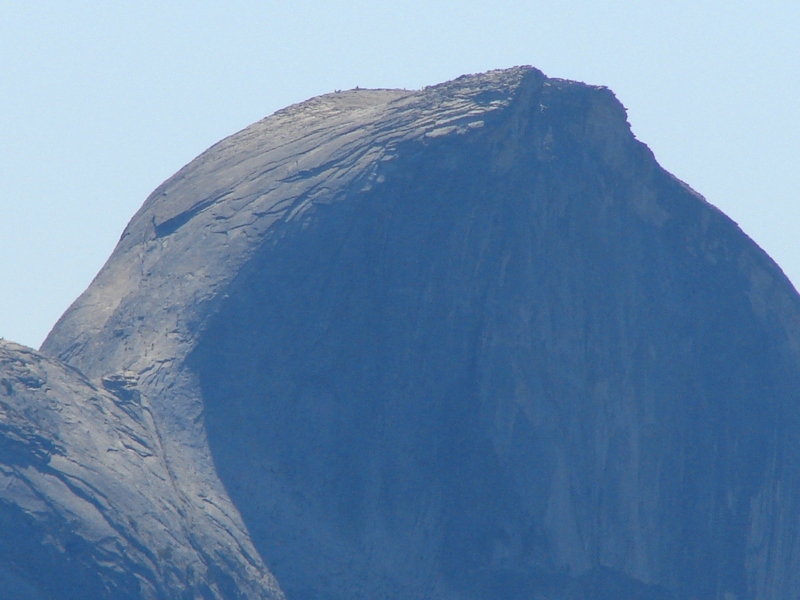 It may collapse soon. 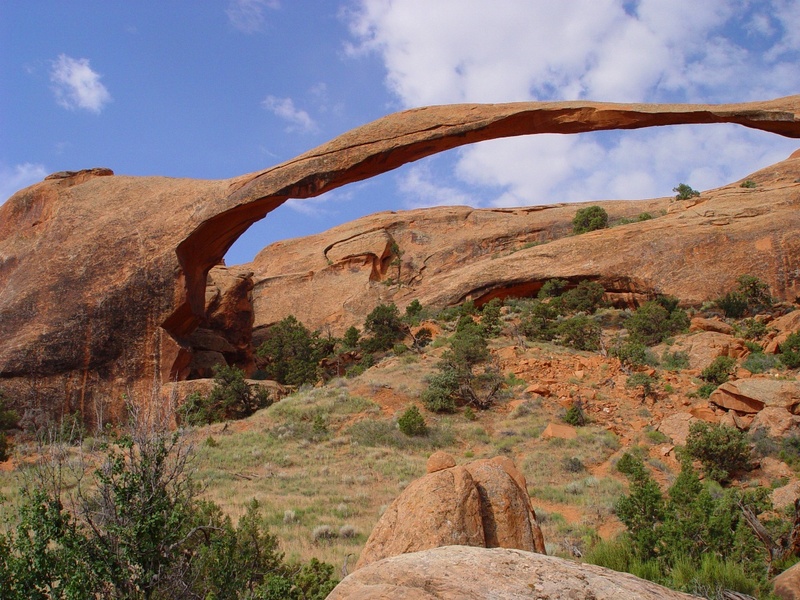 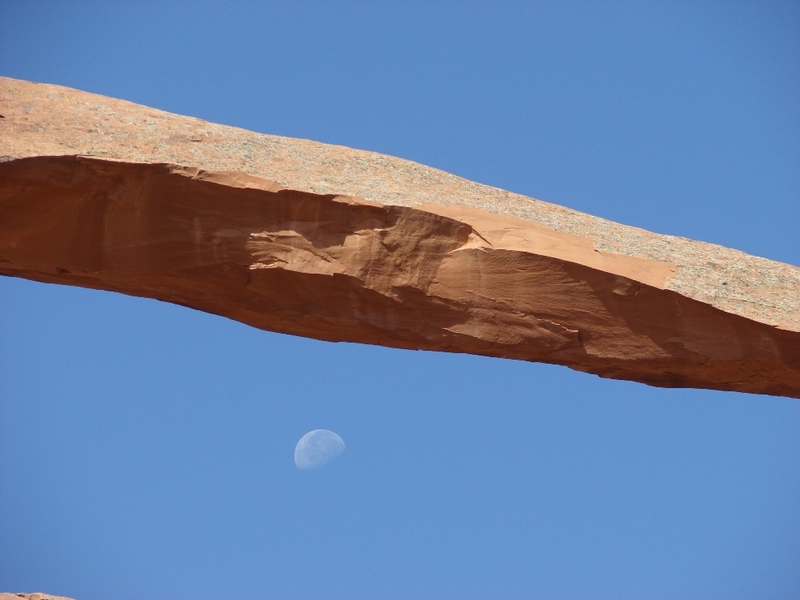 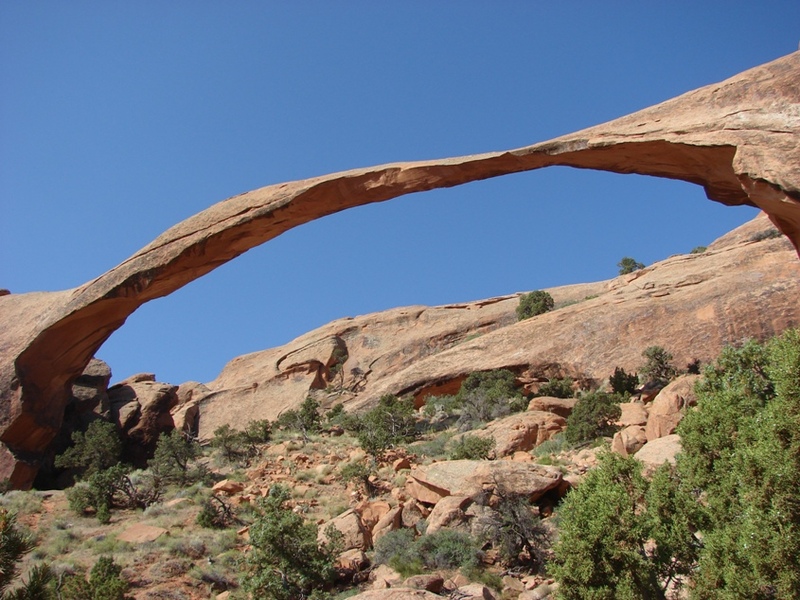 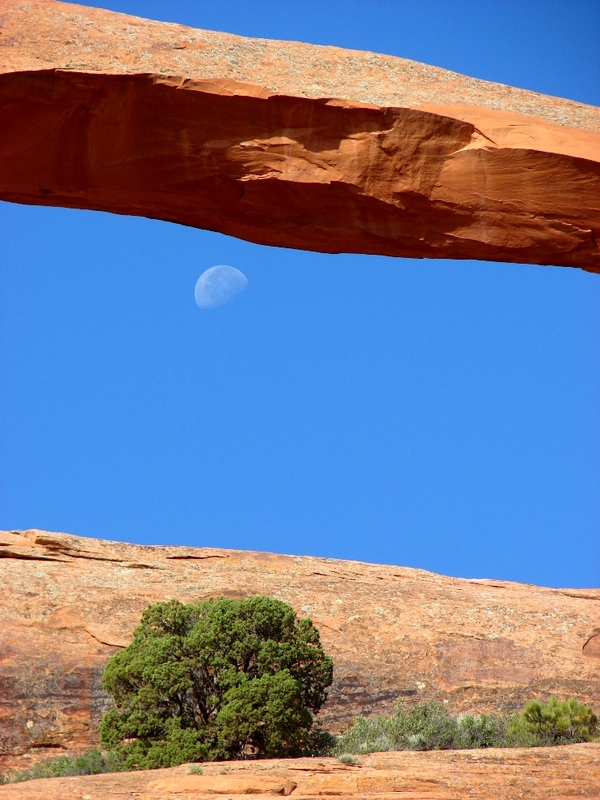 Moon and Landscape Arch at Arches National Park. 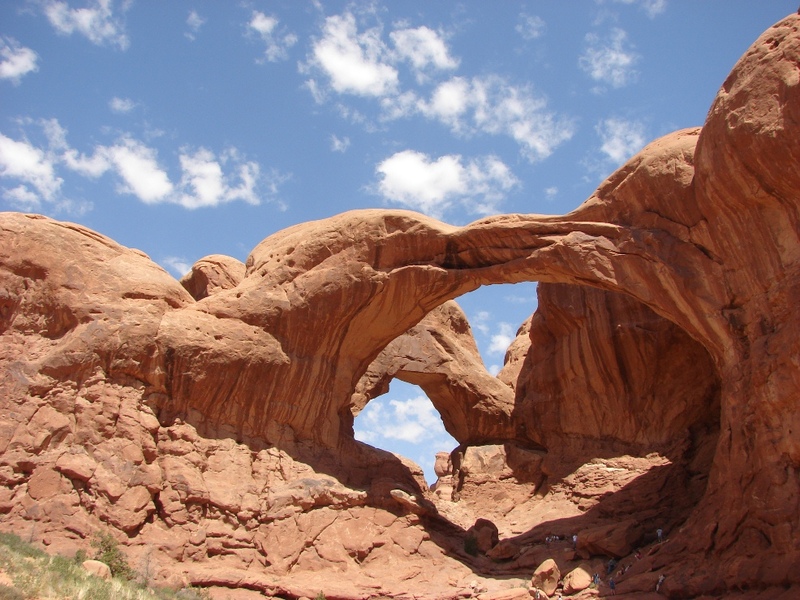 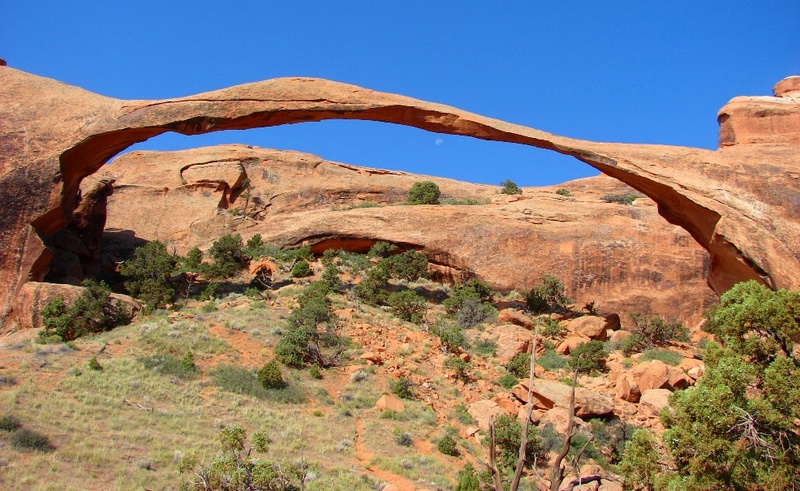 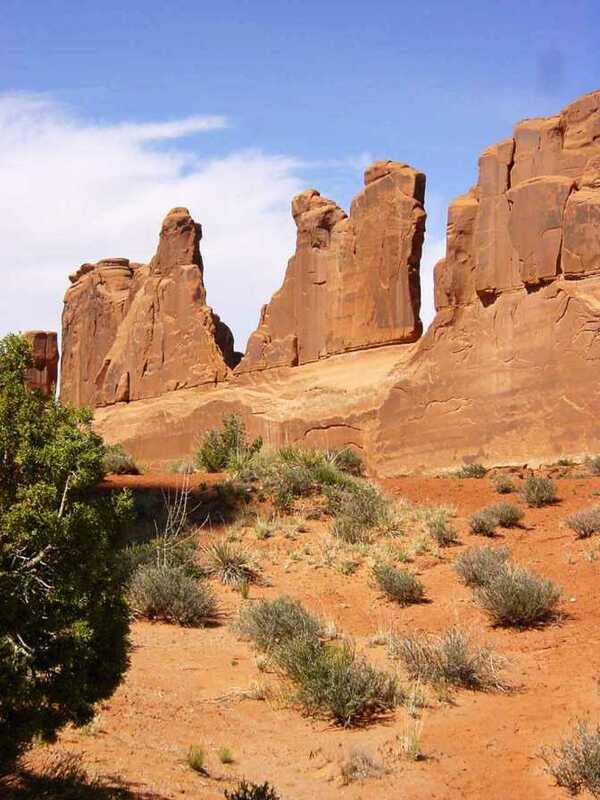 Arches formed along fins outlined by parallel joints in sandstone Landscape Arch, formed along parallel joints in Entrada Sandstone at Arches National Park Moon and Landscape Arch at Arches National Park. 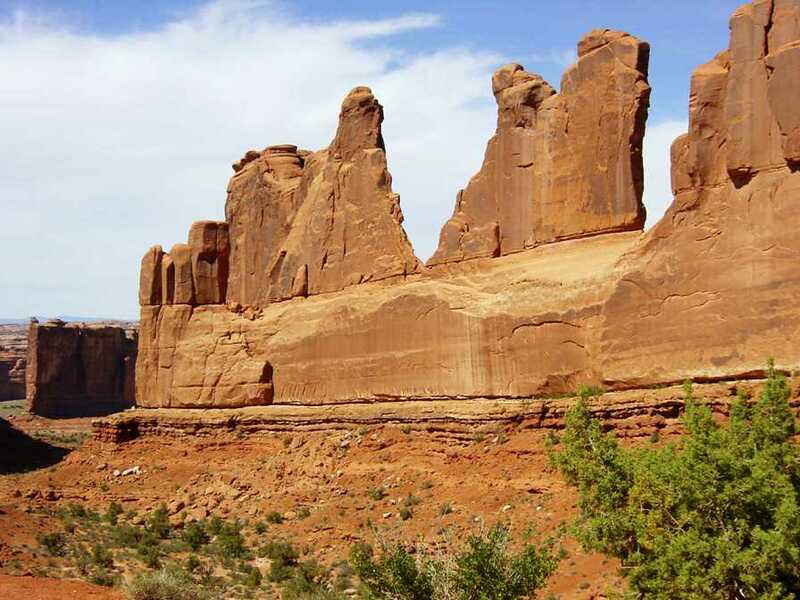 Landscape Arch, formed along parallel joints in Entrada Sandstone at Arches National Park Double Arch, formed along parallel joints in Entrada Sandstone at Arches National Park Hoodoos formed by vertical joints at Canyonlands National Park. 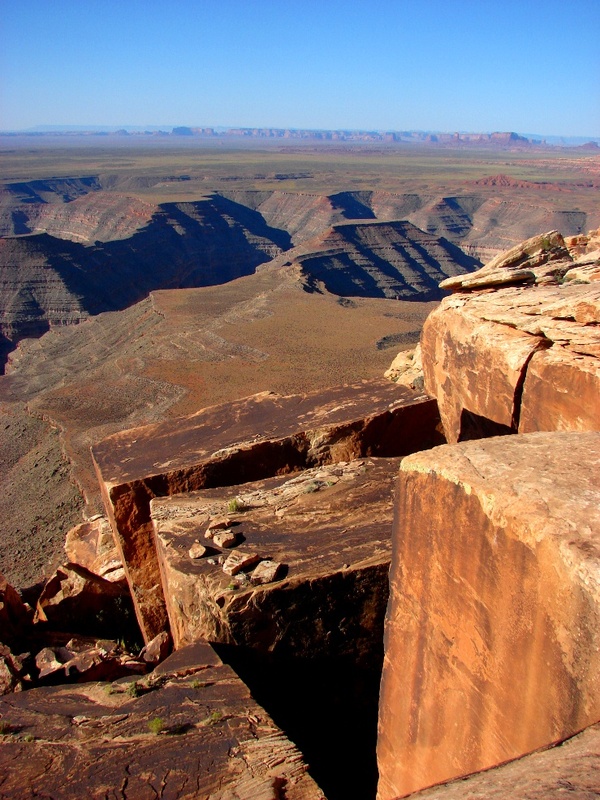 Viewed from Grandview Point on Island in the Sky.